Graduating with honours at the Charleston Medical College in 1834, Dr. Mackey entered immediately the busy practice of his profession which chiefly occupied his time until 1854 when his literary and Masonic labours engrossed his efforts. During the Civil War Dr. Mackey was a Union adherent, and President Johnson appointed him Collector of the Port. Some active interest was taken by him in politics and in a contest for senatorial honours he was defeated by Senator Sawyer in the canvass. Following this experience Dr. Mackey removed to Washington, D.C., in 1870. Just as Brother Pike said these words, a ray of sunshine from the window at the west streamed in splendour across the church. His hoary head was thereby aflame with a glowing halo of light like unto the vision of some sturdy stately saint of old. The tang of sorrow in his tones as he continued sadly with the words of the ritual — "Our Brother answers not our call" — heightened with the tinge of assurance the striking illusion. The present article concludes Brother Hunt's account of the false claims, the indictment, trial and conviction of The American Masonic Federation, with headquarters at Salt Lake City, of which Mathew McBlain Thomson was president. Brother Hunt's four articles, the first of which appeared in THE BUILDER for September, comprise a complete record of all the important points in the case. I HAVE already described the false claims made by the American Masonic Federation to Scottish Rite and other Masonic prerogatives in preceding accounts of the trial and conviction of Mathew McBlain Thomson, president of that organization of spurious "Masonry." The reader is requested to consult THE BUILDER for September, October, and November. In the present instance I shall give an account of the trial held at Salt Lake City, Utah, early in May of this year. Three distinguished Scotch Masons agreed to accept a subpoena and testify for the Government: they were Brothers David Reid, Joseph Inglis, and John A. Forrest. David Reid is Grand Secretary of the Grand Lodge of Scotland. Joseph Inglis is Provincial Grand Master of Kincardineshire; also Past Senior Grand Warden of the Grand Lodge; Past Master of both the Rose Croix Chapter and Consistory; and Past Grand Prior of the Knights Templar, and a Thirty-Second degree Mason. John A. Forrest is Grand Secretary of the Royal Order of Scotland; Past "Provincial Grand Master of Midlothian; Past Master of his Rose Croix Chapter and Consistory, and a Thirty-Second degree Mason. These brothers testified that Mother Kilwinning Lodge never granted a charter to work any except the Craft degrees, and that none of the so-called higher degrees originated in Scotland. David Reid testified that he was a member of Mother Kilwinning Lodge, and that she had never granted to any of her daughter lodges power to charter other lodges, and in fact Kilwinning was the only Scotch lodge that ever had chartering power. Brothers Inglis and Reid both testified that Mother Kilwinning Lodge kept a copy of every charter issued by her and that she had never granted one to a lodge in France, as Thomson claimed she had done. Thomson was asked to show "a history, any place" which supplies the link of granting a charter from Mother Kilwinning Lodge to the Mother Lodge of St. John, of Marseilles, France, but he could not do so. Brothers Reid and Inglis also testified that the Grand Council of Rites was a very small body with no reputation, Masonically, in Scotland. Brother Inglis first heard of it in 1880 and Brother Reid in 1911. In 1912 it was practically declared clandestine by the Grand Lodge of Scotland, and her members forbidden to affiliate with it. Thereupon, Peter Spence, who had signed Thomson's Patent, withdrew from it. In 1914 Thomson and Robert Jamieson were expelled from Masonry by the Grand Lodge of Scotland on the charge of conferring clandestine Masonic degrees. On cross-examination Thomson was asked to name a Scotch history that anywhere mentioned the Grand Council of Rites, and he could not do so. He was also compelled to acknowledge that the leading Scotch historian, D. Murray Lyon, did not mention this so-called Grand Council. Thomson claimed to have been made a Mason in a lodge which had been chartered by Melrose St. Johns Lodge, but David Reid testified that this lodge never chartered daughter lodges, and that the lodge from which Thomson claimed a charter, if it ever existed, was clandestine; that Thomson did not become a Mason until after he was healed in 1889, in St. James Lodge No. 125. "Memorial anent the clandestine introduction of Mathew Thomson into Lodge operative, Ayr, No. 138, and the issuing of a diploma in his favour. "The Committee having considered the whole case, Find that Mathew Thomson is not a Freemason, and that he could not therefore be affiliated to the Lodge Operative, Ayr: Find that certain of the Office-Bearers of that lodge knew that Mr. Thomson was not a member of the Order when they pretended to affiliate him: Find that the return made by the lodge to Grand Lodge under date June 12, 1876, certifying that Mr. Thomson was Entered, Passed and Raised in that lodge, was false and fraudulent: Find that lodge has produced no regular books, and that such as have been produced are in many places written in pencil and grossly irregular, and contain no evidence of Mr. Thomson's pretended affiliation: Therefore recommend Grand Lodge to instruct the name of the said Mathew Thomson to be deleted from the Register of Intrants, and ordain him to deliver up the Diploma of Membership issued on 12th June 1876; and further recommend that Grand Lodge suspend the Lodge Operative, Ayr, No. 138, and debar it from meeting for Masonic purposes until it is the pleasure of the Grand Lodge to withdraw its suspension. Further, instruct the Grand Secretary to call for delivery of the charter and minute and other books of the lodge, if any such exist, and retain the same in his possession." "Grand Secretary produced the diploma which had been issued to Mr. Mathew Thomson, under a false return in name of the Lodge Operative, Ayr, No. 138, in June 1876, and tabled a letter from the Lodge St. James, Ayr, No. 125, anent the admission of the said Mathew Thomson by affiliation or otherwise, as Grand Committee may direct. Remitted to the Petitions and Complaints Committee to consider and report." "On the recommendation of the Sub-Committee on Petitions and Complaints, Grand Secretary was instructed to direct the Lodge St. James, Newton-on-Ayr, No. 125, as to the admission of Mr. Mathew Thomson referred to in the minute of Grand Committee of date 24th June last, — and on being satisfied that the conditions on which the applicant's admission is authorized have been complied with, to issue a new diploma to the said Mathew Thomson." Thus it is seen that this is not the first time that Thomson has been concerned with clandestine Masonry. "From London we went to Edinburgh, where, we visited the Grand Secretary in the temporary offices of the Grand Lodge in Charlotte Square, the Grand Lodge Hall being closed for repairs and enlargement. We sent in our card as President of the A.M.F. and were received as such and had a long and pleasant talk with him, in the course of which we informed him of conditions here, conditions which made necessary the formation of the A.M.F., explained to him the source from which we derived our authority, showed him our charters and explained to him our aims and objects; showed him from our publications that we made no claim whatever to have authority from or connection with the Grand Lodge of Scotland; that we did claim Scottish ancestry, but from a source more ancient than the Grand Lodge, namely from the Mother Lodge Kilwinning, through her son, the Chevalier Ramsay, through whom the degrees went to the Scottish Mother Lodge of Marseilles, from thence through the Lodge Polar Star, established in New Orleans in 1794, to the Supreme Council of Louisiana; from it to the Grand Lodge Inter-Montana, which is the foundation of the A.M.F. "Brother Reid informed us (as we had been informed before) that the only object that the Grand Lodge of Scotland had in the matter was representation made to her that an officer of Grand Lodge (Brother Peter Spence) was granting Blue Lodge charters to parties in America; and that the A.M.F. claimed to work by authority from the Grand Lodge of Scotland; the first charge had been disproved by Brother Spence, and what I said now had disposed of the latter." Brother Reid testified that the only true part of this account was the fact of the call. The interview was very short, about two minutes only. He had remained standing throughout. The only other person present was Brother Joseph Inglis. Thomson had not shown any charters or made any explanation of his aims or objects, neither had he shown any publications or made any explanations of his claims. Brother Inglis testified that the conversation was very formal; that Mr. Reid never sat down and practically bowed him out. He was asked if the meeting was a courteous or discourteous one. He replied: "lt was cold, but courteous." On cross-examination Thomson was asked in regard to this interview, and admitted that the conversation lasted about ten minutes, that he had shown no charters, but had shown his authority, by handing Mr. Reid a copy of his magazine, which explained his authority, but he could not tell which copy it was or what article he referred to as giving the authority. On being recalled, Brothers Reid and Inglis testified that Thomson had left no magazine or documents of any kind whatever. Bergers, one of the defendants, testified that in 1913 he went to Europe to investigate for himself to find out what he could about the organization, and how it was regarded there. He visited the Grand Council of Rites, the meeting of which was postponed one month so that he could be there. At this meeting there were twenty-eight persons present, and the meeting lasted about three or four hours in the afternoon. "They were called by telephone, where I saw several other brothers, and they gave me an introduction. They told me it was the Master of St. James 125, and they said — I said, I desire to visit the lodge, and they said 'very well' they were going to have their regular meeting that night and also they were working the Craft degrees on one of the candidates." However, the meeting was held in the afternoon, instead of at night, to accommodate some visitors who wished to return home that night. Bergera was in Scotland ten days and visited two lodges. The second lodge was the lodge in Kilmarnock, which met in a building with the name "Kilmarnock Lodge" over the door. Brothers Reid and Inglis testified that there were four lodges in Kilmarnock, but none of them with that name; that there was no building there with the name "Kilmarnock Lodge" above the door, and that the building in which the lodges met had simply the inscription "Masonic Hall." Bergera testified that he had not visited, nor attempted to visit, the Grand Lodge of Scotland. He spent five days in London, and visited one lodge there, but he did not visit nor attempt to visit the Grand Lodge of England. He spent nine or ten days in Paris and visited one lodge, but had not visited nor attempted to visit the Grand Orient or Grand Lodge of France. Thus, although he testified that his sole purpose in going to Europe was to investigate the standing of his organization, and he spent several days in each place, he visited only two lodges in Scotland, one in London and one in Paris, and did not attempt to go anywhere where authoritative information could be had. Thomson gave considerable space in his magazine to the Proceedings of the National Masonic Congress, in Zurich, Switzerland, in 1920, supposed to be composed of the representatives of the Masonic powers of the world, and of which he was elected President. On cross-examination he could name but eight people who were present at that Congress, and Joseph Inglis testified that none of the powers there represented was considered regular by the Grand Lodge of Scotland. Minimum fee for Craft Degrees, $35.00; of which the lodge received $5.00. Minimum fee for higher degrees, Fourth to Thirty-Third, $135.00, of which $25.00 was for paraphernalia. The thirty-three degrees were sometimes given in an hour's time; frequently all of them were conferred in one evening. There were many other facts brought out in the trial but I have here mentioned only the leading ones. From this it will be seen that the Government clearly proved that Thomson obtained his members by misrepresenting the facts, both as to his authority and regularity, also as to the recognition that his members would receive from Masons abroad, and that in the promotion of his scheme the United States mails were used. "Therefore, gentlemen, as I said in the beginning, this involves no case here before this jury as to which of the branches of the Masonic order is legitimate, except in so far as that question inheres in the simple questions in this case, which is not a question of determining which of these great branches, or minor branches, is right or wrong, but the question here is, did these men on trial conspire to commit a fraud on their neighbours or on their fellow men? That I will go into more fully. Keep that in mind. "It is a historic matter of common knowledge that there is an organization known as Free Masons or Free and Accepted Masons, or Masons, known for many generations. Whether that organization is right or wrong, whether it had conducted its business in the right way, whether its spirit is right or wrong, speaking generally, we have nothing to do with it. . . ."
"Sometime back, the people of this country, acting through their agents, enacted a statute through Congress which said that a man who should conceive and organize a conspiracy with others to defraud somebody, and then use the mails to carry out that scheme, that man should be punished. Now that is all the Grand Jury in this Court did when last year it brought in this indictment. And bear in mind, gentlemen, as I tried to impress upon you before, that the action of the Grand Jury must not in any manner enter into your consideration in determining the question of guilt. . . ."
"So this indictment was brought in charging these three defendants with having done three specific things; combined, organized or maintained a conspiracy, with the intent to defraud, and used the mails for carrying out that fraud. That is all. The Grand Jury didn't indict anybody here for competing with some other organization of Masonry, had nothing to do with those organizations, whatsoever, neither do we. "They charged that they conceived a plan to defraud and used the mails to carry it out, and that they did that by conspiring together, making an arrangement to carry it out." "You will observe now from this recital, or these recitals, that this is not a mere case of a dispute of title. That is involved in it, but that is not all that is involved in it. It is not a mere case of the question as to whether or not they got power under this endorsement on this charter from Louisiana Council. Nor is it solely the question as to the standing or authority of the Council of Rites of Scotland. These questions are involved, but there are many other questions involved. "Of course now, any change in this indictment, which is not proven by the evidence must not be considered. I am reading it to try to get to your minds what we are trying to settle in this matter. The Government charges in this indictment that these things were in the minds and hearts of these people; that they were false, all of them were false, though of course it is not essential for the Government to prove that all of them were false in order to convict; it is only necessary that they shall prove beyond a reasonable doubt that the fraud which they claim they had in mind consisted of some one or more of the things which they had conceived, sufficient to constitute a fraud. "To illustrate, if somebody sold you a piece of land — or to make it more practical, if someone sold you a certain horse, representing to you that he was an expert in the genealogy of this horse and that his breeding was of a certain strain on back two or three generations, which made it a valuable horse, and he also represented to you that the horse had a record upon a lawful track of 2:05 as a trotter, and the man who was buying him relied upon these statements, and had no opportunity of testing them out to see whether they were true, and later he found that he did have this family tree which was valuable, but he also found out that he never made that record at all, that was a lie, that would be a fraud by which he induced him to part with his money, although only the question of his record was involved in the fraud, the other representation being true. "So that, even if it were established in a given case where the question of the family tree, so to speak, of some society, the Odd Fellows, Masons, Knights of Columbus, Elks, whatever it might be, was a certain thing, if that was the only thing alleged, and it was not proven that was false, of course there would be no fraud, but if in connection with that representation were made other representations with relation to the quality of the organization, or character of the organization, the benefits of the organization, the thing the man was getting for his money, aside from the question of the family tree; if false representations were made which induced him to part with his money, that is to say, representations which were wilfully false, then of course there would be fraud and the plan to represent these things which were wilfully and intentionally false, would constitute the ground for a conviction, if they were within the things charged in the indictment . . . . "
"A false representation may be by word of mouth, it may be by acts, it may be silence; it may be by all combined. We consider what effect the particular thing, the particular act would naturally have on the mind of the other fellow. To determine what the natural effect would be upon the mind of the other fellow we have got to sort of look at it from the other fellow's standpoint, and consider the question with relation, for instance, to membership in this organization. What did the other fellow want the membership for? What did he think he was getting? What did he in fact get? Did he get what he bought? If not, was his failure to get what he bought and paid for the result of misrepresentations either by word or conduct or act, in writing or orally, by the defendants or any of them or any of their authorized agents, authorized to do the things that they did? That is this case. "As I recall there was evidence here of representation made to parties, witnesses upon the stand here, that membership in these organizations opened the doors of the lodge rooms of Europe, and all countries, generally speaking, or words to that effect, to the member that was sought to join. I am not stating words exactly, and I am only using this as illustrating the principles involved. You are the final judges of what the acts are. But if a man were induced to enter an organization of any kind upon a representation that membership in that organization would grant him affiliation and brotherhood relations with some great established, organized, permanent organization in South America or Canada or any other country, if that were not true, and the man that made the representation knew it was not true, and he made the representation with the intention of getting his money, that would be a fraud, even though the organization had the right genealogical tree. "So, gentlemen, we have an organization here now, composed of a number of individuals with organizers employed and sent out, and memberships taken and memberships paid for. In any big organization you will find some organizer or some agent who at times will not do the right thing. But a wrongful act upon the part of an agent or organizer, except insofar as the same was induced or authorized or approved by the defendants in this particular case — if it was outside of his regular and authorized work, of course it would not be binding upon these defendants, — but insofar as you can find from the evidence the scope and power given by these defendants knowingly and intentionally to organizers, of course the acts of such organizers would be the same as the acts of the defendants. "So, gentlemen, you see it is a question as to whether or not the Government has proven — they have got to prove that these things were false, the defendants do not have to prove that they are true, the burden is on the Government all the way through. Has the Government proven any of these charges of intended misrepresentation or fraud which they set out in this indictment? If so, was that of such a nature or character that it would have carried out — constituted a fraud on the person who was induced to join as a member? Now, what the evidence is and what these specific things are, you are to determine. "I have repeatedly said that a fraud is not a mistake. The law is practical common sense. No man was ever convicted of a fraud when he was acting in good faith. A man might sue to recover money or land on the ground of mutual mistake but as to a criminal offense, a man to be convicted of a fraud must have knowledge, must have the wrongful intent and purpose." "Nobody can hear this evidence in this case without being convinced, absolutely convinced, that this thing has been a fraudulent scheme from the beginning. I can see where an ignorant person might find some possible excuse for the methods employed in this case. For intelligent people and experienced people to try to convince the Court that this organization and this plan and this work that had been going on is on the square — it can't be done. "Of course now we are living in a time when some of the brightest minds in the country are devoting themselves to securing money by short cuts, by taking advantage of the gullible for their enterprises. In fact that is one of the dominant crimes of the present time. I know of one state in which in the last two years, within two, there has been sold over twenty-nine million dollars worth of stock in packing houses which were never built, and practically every dollar of the money lost, just by shrewd practices, by trying to get the other fellow's money in some way without working for it. "Now, of course, after all that was stated in this case from the beginning and all through I confess that I was astounded when I heard Mr. Thomson testify that there was no pretence, that there was no record anywhere of a charter to Marseilles Lodge, on the existence of which lay the right and practically the foundation of all claims of legitimacy on that branch of the case and to have him admit that such a lodge existed only in tradition (I realize that some things can be proven by tradition, but tradition cannot exist with one man, tradition must have, before it has any force as proof — such general recognition among men in that particular occupation or relation that it forces itself upon the mind as a truth the record of which has been lost) and it was conceded on the witness stand that so far as this particular thing was concerned there was no record anywhere and no one who was skilled in the history of Masonry had ever met any such a tradition so far as the record in this case is concerned, in any history or book or pamphlet or anything else outside of this organization. "So was I surprised when I found that the Council of Rites of Scotland which had been one of the chief points urged by these gentlemen, had no record behind it but a few years and it was represented — entirely aside from the question of the origin and history of this organization and those that preceded it — it was represented time and time again without dispute to these poor devils that were led largely by these attractions to an ancient organization and to the rites and rituals of the organization, it was represented to them specifically and it has not been denied that by virtue of their association with this organization the doors of Masonry the world over were open to them outside of the United States, which is of course an absurd claim under the evidence in this case. "Then the trip that Bergera made to Europe on the investigation, in view of what transpired according to his own testimony, has all the appearance of being a scheme or plan that he might come back here and state to those whose membership was sought his capacity to enter the lodges of Europe to support their claim, that the members immediately on getting across the water would have the doors wide open to them. "And then after making a trip and going to one or two lodges or three under peculiar circumstances, in fact never going to the Grand Lodge of Scotland, and that was included in the representation made, that is to say, all Europe was included, never going to the Grand Lodge of Scotland, the Grand Lodge of England and never going to the Grand Lodge of France, whatever it is called, and coming back here no doubt to back up the representation that membership in this organization was opening the doors of all Masonic Orders, all of the regular Masonic Orders in Europe — it was a pretence, gentlemen, you can't come to any other conclusion. If Bergera went over there for the purpose of confirming what these organizers were representing and which is not denied here, he certainly would have gone to the Grand Lodge of Scotland or England or France or Germany or somewhere to find out whether the doors would be open to these fellows that were joining their ranks. "But it is not necessary to recite the details. One cannot listen to this evidence without being forced to the conclusion that so far as the representation as to the standing and the brotherhood and the association of people with which they would become immediately affiliated was concerned, that aside entirely from the genealogy of the lodge, nobody can claim that there was any truth in what was said except insofar as they had access to certain lodges with which Mr. Thomson through his relation had some affiliation. "The spectacle of Mr. Thomson going to Switzerland to this great conference, and parading afterwards through the journal a conference where eight men from the entire world were present — that in itself is sufficient to condemn the whole thing and the manner in which this business had been done is sufficient in itself. No pretence here on the part of the defendants that this money was kept in any businesslike way for the benefit of this organization. What became of it I don't know but there was more than a million dollars taken in here, of that there can be no question in view of the prices charged for little printed sheets of paper in the form of diplomas and certificates and things of that kind, entirely aside from the membership fee. What became of that money is not indicated here. The head of this organization testified before the Court that he didn't know and in fact had some difficulty in recalling whether there was ever an account of the organization in a bank anywhere in the world. "As far as the Secretary is concerned, there is no suggestion of a report indicating that this business was conducted as an honest organization, not a word. "So that, gentlemen, there is only one thing for the Court to do. If it were not for the age of Mr. Thomson at this time there would be a long prison sentence, because I think he is the chief actor. I think he is more responsible than anyone else. As far as Bergera is concerned, of course, I cannot understand at all how a man would presume to parade himself as the Treasurer-General of the organization of ten thousand members which had received from them in the neighbourhood of a million or more dollars and never handle a cent of the money. I cannot understand it at all, that is all, that any honest man would allow his name to be used in that connection under such condition and the concealment of the methods of doing business and where this money went even up to the present time. I cannot comprehend the whole thing. "There is only one thing that saves these men a long prison term. I don't feel justified in sending any of these men to prison any longer than I do Mr. Thomson. As I say, when it comes to this point in a trial of the case, the charity of the law asserts itself. Old age and sickness, of course, have a strong appeal to the Court, when it comes to the question of a prison term and I think that the District Attorney has been very generous in his suggestion. This Court hasn't really any power to impose a penalty here which would be adequate punishment for this thing that has been going on when we stop to think of the honest fellows who parted with their fifty or seventy-five or a hundred and fifty dollars for membership in this organization. So far as the evidence in this case is concerned, not one dollar of it was ever used for any of the business of the society except to carry on this work of getting members. Not a word of charity or charitable fund or anything of that kind before this Court. "I am very much inclined to be lenient in all things. I am inclined to look in a charitable way upon the mistakes of men, but this thing has in it that deliberateness and continuous conduct which sort of overcomes my tendency. Before this case went to trial it was not known just what matters the Court would require the Government to prove. Thomson's claim as to the regularity of the established Masonic institutions before mentioned in the first part of this paper, the Government was prepared to disprove, had the Court so ruled. However, the ruling of the Court was that the regularity of the established Masonic lodges did not enter into this case, and the following named witnesses who had been summoned by the Government were not called upon to testify, although they were instructed to be on hand in case they were needed, and especially to listen to the testimony offered by the defendants' witnesses: Frederick W. Hamilton, Grand Secretary, Grand Lodge of Massachusetts; William L. Boyden, Librarian of the Supreme Council, Washington, D.C.; Charles A. Conover, General Grand Secretary, General Grand Chapter, R.A.M. of the United States; Robert A. Shirrefs, Grand Secretary General, Northern Supreme Council; Ossian Lang, Historian, Grand Lodge of New York, and Charles C. Hunt, Deputy Grand Secretary, Grand Lodge of Iowa. It has often been observed that 1809 was, of all the years of its century, most prodigal in giving to the world great men, for it was during that twelve-month that Lincoln, Darwin, Gladstone, Tennyson, Holmes, Poe, Edward Fitzgerald, etc., etc, were born. 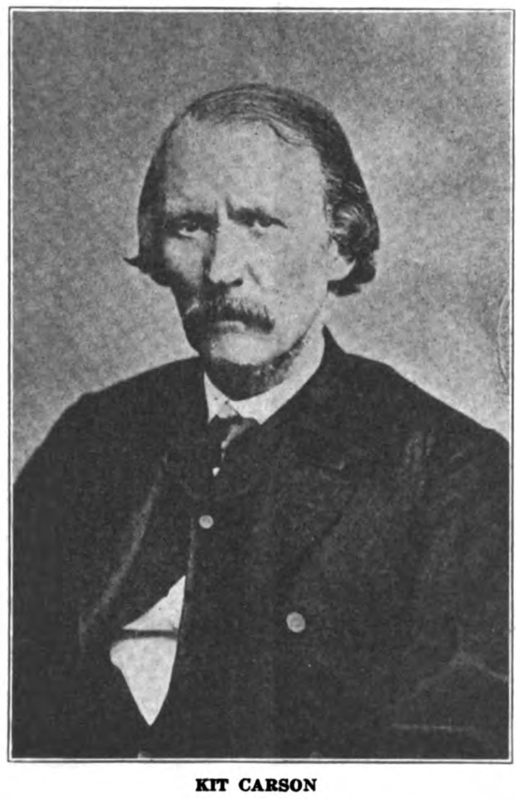 After reading the following appreciations of Kit Carson ye editor believes that many readers will feel inclined to add to the list of illustrious men born in 1809 that of this pioneer who, despite the crudity of his environment and the roughness of his work, was a gentleman and a hero. It is high time that Kit Carson was rescued from dime novels and schoolboy romances and delivered back to serious history and biography where mature men may learn what a towering man he was. Brother Cheetham made his researches expressly at the request of THE BUILDER and thereby became deserving of our heartiest thanks, which are hereby rendered in full measure. WHEN THE WRITER first set out to write a sketch of this worthy brother he was confronted by a dearth of reliable information as to Kit Carson's Masonic record that rendered the task discouraging. When the question was asked of those few remaining brothers in the Craft who knew him they would invariably shrug their shoulders after the custom of the country and say, "I don't know." It was not until after a trip was made by the writer to Santa Fe and an extended search was made among the records of the old Montezuma Lodge which worked under a Missouri charter, now in the archives of Montezuma Lodge No. 1 of New Mexico, that any definite information was obtained as to the time and place of the initiation, passing, and raising of the late Brother Carson. It is true that the Grand Lodge of New Mexico had erected a stone, the third of such memorials, over his grave in Taos, also an iron fence around the grave; and it was generally known and asserted that he was in fact a Freemason, but that does not satisfy the student of history. Brother Carson was born in Madison County, Kentucky, December 24th, 1809. While very young he migrated with his parents to Howard County, Missouri, where he obtained what little education he ever received, except in the school of the great out-of-doors. When but sixteen he joined a party en route for Santa Fe and soon after his arrival at that place he proceeded to Fernando de Taos, or Taos as it is called for short, which thereafter became "home" to him during the remainder of his days. There can be no doubt that Brother Carson was prepared to become a Mason in his heart for some time before he presented himself for initiation. His early associations with Governor Bent, Colonel St. Vrain, both of whom were Masons, and with General Fremont, who no doubt was also a member, predisposed him to a favourable opinion of the Fraternity. Carson knew of the prompt action of General Fremont in saving the American inhabitants of Upper or Northern California from massacre by prosecuting what was known locally as the "Bear Flag War"; and that by his promptness, energy and skill he reduced the northern half of the Territory, in all of which Carson was a participant. He knew that when Admiral Sir George Seymore, with the priest Macnamara on board, arrived at Monterey to raise the British flag, the Stars and Stripes were already floating over the city, nailed to the masthead and there to stay. "He has one or two with him who enjoy a high reputation in the prairies. Kit Carson is as well known there as a duke is in Europe." When Brother Carson returned to New Mexico, he found that his brother-in-law, Charles Bent, who was the first American Civil Governor of New Mexico and a Freemason, together with others of his closest and most intimate friends, had been assassinated in a most cruel and inhuman manner; and that religious fanaticism had sought to accomplish by the firebrand and dagger what the soldier had not dared to attempt with the sword. And so in our pilgrimage to Santa Fe we learned that Christopher Carson was duly initiated an Entered Apprentice March 29, 1854, was passed June 17 and raised December 26 of the same year. He was living at the time at Rayado in what is now Colfax county. To attend lodge he was obliged to travel approximately 150 miles and in that day he probably made the trip on horseback. But to a man who had time and again shown himself ever ready and willing to go on foot and out of his way to relieve any person in distress that was nothing. Carson had learned that the Comanches had a slave, a white boy about twelve years of age. He there-upon fitted out a pack outfit or train, hired a couple of natives and furnished them with trinkets and other articles to trade and barter with the Indians, with whom they were on friendly terms at the time. They went out and located the Comanches and purchased the boy and brought him back. When he was brought in he was hardly distinguishable from an Indian. Carson had him cleaned up and provided with new clothes. He then tried to converse with him in English, Spanish and French, all to no avail. He then called in a gentleman who spoke German. When the lad heard his mother tongue, for he proved to be German, he began crying. He was given to understand that he was among friends. He then gave his name, his father's name and the place in Texas from whence he had been stolen. Carson then fitted out another outfit and sent him home and restored him to his parents, bearing the whole expense himself, the boy's people having been in poor circumstances. At another time, two women, who had been captured in Mexico by the Comanches and carried off as slaves, upon learning that Carson with a party was at the time in the neighbourhood of the tribe, made their escape to him and he sent them back to their people in Mexico, at his own expense. Another incident, hitherto unpublished, and one that reveals his patriotism, was related to me by the late Captain Smith H. Simpson, who knew Carson for fifteen years prior to the latter's death. The Captain said that in the Spring of 1868, just after Carson had returned from one of his official trips (he was Indian Agent at the time) they were walking up the west side of the plaza in Taos. Carson said to Simpson, "Do you see that flag up there?" pointing to the American flag floating over the plaza. Simpson replied, "Yes." Carson then said, "Well I have kept that up since 'Forty Seven. I am not going to be here much longer. I want you to see that flag stays up." He "passed over the great divide" about two months later, aged 58 years. "DEATH OF KIT CARSON. The melancholy intelligence reaches us that General Kit Carson is no more. He died at his residence on the Las Animas on the 24th inst, of disease of the heart. General Carson was a Kentuckian by birth, removed early in life to the State of Missouri, and while yet a mere boy became a wanderer on the vast plains of the then known regions of the West. From about the age of seventeen years until fifty he lived the life of a hunter, trader and trapper. He early explored and became familiar with the mountains and plains from the Missouri to the Pacific ocean. During all these years of his wild life he was constantly exposed to every hardship and danger; sometimes making his home with some tribe of the Indians and assisting them in their wars against other tribes; sometimes employed as a trapper by some mountain trader; sometimes trading on his own account between New Mexico and California. His home was always the wilderness, and danger was his constant companion. Unaided by the advantages of education or patronage, by the forces of indomitable, energy and will, by chivalrous courage, by tireless labour and self denial, he rose step by step, until his name had become as familiar to the American People as a household word. He stood preeminent among the pathfinders and founders of empire in the Great West, and his long career, ennobled by hardship and danger, is unsullied by a record of littleness or meanness. He was nature's model of a gentleman. Kindly of heart, tolerant to all men, good in virtues of disposition, rather than great in qualities of mind, he has passed away — dying as through his life he had lived — in peace and charity with all men, and leaving behind him a name and memory to be cherished by his countrymen so long as modesty, valour, unobtrusive worth, charity and true chivalry survive among men. Of his precise age we are not advised, but judge he was very near sixty years of age. He leaves children of tender age to mourn his loss." Kit Carson had many fights with the Indians while on hunting and trapping expeditions. Of his many deeds of valour we mention but one or two. One occurred while with Fremont, when Carson was leading a party of six scouts as an advanced guard in southern Oregon. The Klamath Indians had been giving trouble, even to making a night attack and killing some of Fremont's men. The latter decided to chastise the Indians. He therefore sent Carson on ahead to locate them. Carson and his men came suddenly upon a Klamath village. Sending a runner back for the main party, his party and the Indians each attacked simultaneously. When Fremont arrived on the scene the village was in flames and such Indians as survived were in full flight. We might mention another instance. When General Kearney was surrounded by the Mexican forces in Southern California, Carson and Lieutenant Beale of the Navy volunteered and made their way through the Mexican lines, reached the sea coast and secured men and munitions for the relief of Kearney. Carson was chief scout and guide of the Saguache campaign against the Utes, under Colonels Fontleroy and St. Vrain, in which the Indians got a whipping that they never forgot. About 1863 Carson was made Colonel of the First New Mexico Cavalry, and one of his first military operations was against the Kiowas and Comanches, culminating in a battle near the old adobe fort, formerly erected by Bent and St. Vrain on the Canadian River in Texas. These Indians had made a great deal of trouble for years, but they were cured in the fight at the "Adobe Walls," as the fight was called. "True to his promise, the war opened on the very day set by General Carleton, July 20, 1863. A regiment of New Mexicans, with more than a century of accumulated wrong and oppression to avenge, were at once placed under the command of a man who understood his Indian well — Kit Carson. These troops knew neither summer rest nor winter quarters but pursued the Indian foe relentlessly month after month, night and day, over mesas and deserts and rivers, under broiling suns and in rough winter snows, killing and capturing them in their most chosen retreats, until finally, broken and dispirited under a chastisement the like of which they never had dreamed of, small bands began to come in voluntarily, then larger ones, and finally groups of fifties and hundreds, nearly comprising the strength of the tribe. The prisoners, as fast as received, were dispatched to the Bosque Redondo, and those who remained sent out white flags in vain. Throughout 1864, 1865 and the present year, the war went on under these conditions, and the result is that some eight thousand Navahos, including a few Apaches, are now living peaceably at the Bosque, engaged in agriculture and manufactures, four hundred miles from their old homes, and ninety miles east of Rio Grande Settlement." "The pleasantest episode of my visit here has been the society of Kit Carson, with whom I passed three days, I need hardly say delightfully. He is one of the few men I ever met who can talk long hours to you of what he has seen, and yet say very little about himself. He has to be drawn out. I had many questions to ask, and his answers were all marked by great distinctness of memory, simplicity, candour, and a desire to make some one else, rather than himself, the hero of his story." Such was the manner of the man. "Resolved, That as an earnest of our good will we solicit his acceptance of the voluntary contributions of the brethren........."
A public "Welcome and Testimonial" was held in the Academy of Music on Saturday evening, May 20, 1865, M∴ W∴ Clinton F. Paige presiding. A number of "distinguished artists," along with "Grafulla's Seventh Regiment Full Band," made the occasion memorable. The center of interest on the occasion was the gracious kindly gentleman from the South in whose honour so large a throng was assembled. After the music had ceased, and the Grand Master had pronounced a beautiful welcoming address, Dr. Mackey delivered the speech, a part of which succeeds this brief narrative. This speech, however impressive as it was then — and still is — did not so deeply stir the auditors as the incident that followed, the account of which I transcribe from the record. "It was stated that this box had before been presented to Brother Mackey by the Masonic fraternity, as a token of gratitude for the many years of faithful servitude he had rendered them. Shortly after the commencement of the war, however, Brother Mackey was compelled to part with it in order to procure bread for his family. The box then passed into the hands of a person who took it to Easton, Pa., and gave it to a jeweller to have the inscription erased. This fact becoming known to Brother J. M. Porter, Jr., Past Master of Easton Lodge No. 152, he, with other members of the lodge, having by correspondence with New York become acquainted with its history, purchased it, and sent it to New York to Brother Macoy, with the request that it should in their name be returned to Brother Mackey, with a handsome little present enclosed. The box has since been kept safely without the knowledge of Brother Mackey, until it was presented to him last evening. In making the presentation, Brother Macoy briefly explained the above facts, and closed by saying that the box, though beautiful on the outside, had, also, a peculiar inside lining; he would not say exactly what it was, but it looked green (backs). "It is needless to say that Brother Mackey was taken by surprise at the reappearance of his precious gift, the snuffbox. He expressed himself much gratified at becoming again the possessor of it, and retired amid the applause of the audience." It transpired that Dr. Mackey had literally bankrupted himself in order to give assistance to his brethren, even to the extent of his personal belongings. A venerable brother who was present at the Academy of Music tells me that those who were in attendance left with the feeling that in this Testimonial it was already evident that Masons would take the lead in healing over the breach between the two sections, and that in his own attitude and spirit Dr. Mackey revealed that which so ennobled Abraham Lincoln, — "Malice toward none, charity for all." Freemasonry is the science of life, taught in a society of men by signs, symbols and ceremonies, having as its basis a system of morality, and for its purposes and aim, the perfection and happiness of the individual and the race. As explained in the preceding article, a public Testimonial was given to Brother Mackey, author of Mackey's Encyclopedia, Mackey's History of Freemasonry, etc., on the night of May 20th, 1865. Space does not permit the reproduction of the whole or the remarkable speech delivered by him at that time, but it is believed that many brethren will be delighted to read that part which contains his stirring account of Masonic relief during the soul-racking days of the Civil War. AS A MASON, holding a not altogether obscure position in the Order, I have, in the course of my life written and said much about its excellence and beauty. I know that it teaches fraternal love. I know that it inculcates kindness to the destitute, and sympathy for the sorrowing. I know its pretensions to be a science of morality and a development in one direction of the religious sentiment. But until this war came upon us, in all its horror of want and suffering, of demoniac hate and inhuman passion, I did not know how successfully theory and practice could be mingled in the teachings of the Order and the actions of the disciples. I did not know how surely and steadfastly its rays of light could dispel the gloom of this dark night of our national history. When the first struggles of the infant rebellion began to threaten the gigantic future of ruin and desolation, which it subsequently too successfully achieved, all the other social, moral and religious societies of the country preserved a deathlike silence. No voice of warning, no voice of entreaty, no prayer or suggestion for forbearance came from any section of the land, already upheaving with the throes of a fratricidal conflict. The Church where peace on earth and good will toward men should have been at all times, but then more especially, the constant theme, was dumb as the grave. The dark funeral pall of war was closing around the land, and there was none to raise its gathering clouds and let in one solitary ray of peace, or hope, or love. Masonry alone, mindful of its divine mission on earth, spoke out with persuasive tongue of exhortation, that men and brethren should abstain from this cruel conflict. That it thus spoke is a noble incident of its history. And although its voice was then unheeded, none shall henceforth, forever, rob it of the glory of the attempt. Scarcely sixty days had elapsed after the first shot had been fired at Fort Sumpter, when, from the National Capitol, the true-hearted Grand Master of the Templars of the United States issued a memorable address to the knights of his command, who were scattered over both sections of our discordant country, in which he "implored each one, after humbly seeking strength and aid from on High, to exert all means at his command to avert the dread calamity and prevent the shedding of fraternal blood." Not a month had passed ere the officers of the Grand Lodge of Tennessee made a similar invocation for peace; and in the tones of entreaty that ought to have been heard, "as Masons, as members of a common brotherhood, as brethren bound together by fraternal ties not to be broken save by the hand of death," they appealed for a cessation of the unnatural strife. And a few weeks later, the Grand Masters of Kentucky, of Ohio, and of Indiana, united in a similar work of attempted reconciliation; and crying out from the very depths of their hearts, "Is there no balm for the bleeding wounds of our nation? Is there no hand to hold out the olive branch? No saviour to still the troubled waters?" — they concluded their earnest appeal by inviting a Masonic convention, which should recommend some plan to heal the wounds of the country. Had the acerbity of political strife, and the cunning of political corruption which were then overbearing the deluded people with their pressure, permitted the holding of such a convention, who can tell what blessed results might have been brought forth from the communion of men who had been taught the duty of mutual kindness and mutual forbearance at the same sacred altar and in the same mystic language? And then came with like counsels the gentle voice of Cyril Pearl from his far-off home on the very borders of our land. He lived to see the culmination of the war which he deprecated. Before its decline he was called from his earthly labours of love. Masonry can illy spare such noble-hearted men. And when at last the clouds of war had not only gathered all over the land, but had burst forth in a storm of carnage; when there was no more hope of peace until the discordant passions of men should be diluted with the flow of blood, the Grand Master of South Carolina, whose heart, strongly beating with Union sympathies, has long since been quelled in death, addressed an encyclical letter to his brethren, in which he charged them in the name of our Supreme and Universal Master, "to suffer not the disputes and broils of men to impair the harmony which has existed and will exist throughout the fraternity." "Let us not," he said, in his own emphatic language, "let us not hear among us that there is war; that strife and dissension prevail. As Masons, it concerns us not." And I rejoice in my heart that these teachings were not unheeded. If there was war without, there was always peace within our lodges. Will you bear with me while I say of my native jurisdiction, where I think I have some Masonic influence, that in South Carolina, reproached as I fear she justly is, as birthplace, the benignant principles of Freemasonry were never for a moment forgotten. In its capital city, the only place, I fear, on the whole continent where the same deed of love was enacted, prisoners of war, who were Masons, were relieved on their parole by the officer of their guard, himself a Mason, and carried from the prison to the lodge room, to relieve the weariness of their captivity by witnessing and participating in the secret services of the Order. And I can solemnly aver that I never approached a Mason or lodge in Charleston, with a petition for the relief of a destitute, suffering prisoner of war, without receiving the kindest response and the most liberal donation. Throughout the length and breadth of our land, at the North and the South, the East, and the West, wherever there was the sin of strife, there, too, was the atoning peace of Masonry. It went into the prison, and gave comfort to the captive. It went into the hospital, and gave balm to the wounded. It went into the battlefield, and gave rescue of life to the conquered. Let none henceforth speak of its unknown mysteries, or contempt for its pretended merits. Let its adversaries be silent before the magnitude of its achievements; and when the history of this unnatural war is written, while all honour is bestowed upon the hero and the patriot, let it not be forgotten, but let it rather be inscribed in characters of living light, that when war was beginning to whet its beak — while other associations were indifferent and dumb — while the churches themselves gave no sign of Christian life, Masonry done sought to avert the impending evil; and when the full tide of conflict had rolled in upon our shores, and blood was soaked into the ground, Masonry again came forth, a ministering angel, to clothe in some measure the stain of our nation's fratricidal contest with a ray of cheering light, and to give to the black cloud of war a silver lining. Why Roman Catholics should be so opposed to Freemasonry because it is a secret society while their own church fosters, and has in times past fostered, some of the most powerful secret societies that have ever existed has long been a standing puzzle to Masons who believe that what is sauce for the goose should also be sauce for the gander. But Masons are not the only ones to observe this curious inconsistency. Here is a letter from a Roman Catholic editor that was published in The Fortnightly Review, September 1st, 1922, page 327. It is sufficiently explicit and stands in no need of interpretation. The Fortnightly Review is a Roman Catholic journal, published on the 1st and 16th of every month, 5851 Etzel Avenue, St. Louis, Mo. It is edited by Arthur Preuss, author of a well known "book" on Freemasonry. "'We' have the 'stations,' the 'wicket,' the 'pass-word,' the 'grip,' the sign and salute, the 'gown and cap,' the 'mysteries,' all the awe-inspiring things and all the tommyrot of the lodge room with a few religious features to make it a little different. "Of course, 'we' go to communion in a body to remain in good standing. "As long as 'we' act thus and indulge in the mummery and humbug which is being condemned by our bishops here and there, results cannot be expected. What we need, and need badly, is a house-cleaning that begins right at home. "I am not writing this for publication, and cannot permit my name to be printed in connection with it. I am simply stating facts which cannot be overlooked, or disputed for that matter. It has gone too far, and, I believe that it is beyond remedy. When it is borne in mind that the Wisconsin Staatsverband (D.R.K.C.V.) recently filled a long-felt want by adopting an 'Einfuhrungs-Modus' with a very strong leaning to secrecy, it becomes plain that the garden is full of weeds. "Worst of all: If the Church tolerates secret societies within and 'in her shadow,' Catholics naturally must conclude that they are not so bad after all. Swimming against the stream, as both of us do, we have the sensation of being living fish, but it is folly to think that we are making any headway. "I could give you a 'lot of dope,' but what's the use? Constant dripping may hollow a stone, but you and I will be dead and buried a long time before the stone will show any marks." — A Catholic Fellow Editor. The Gothic cathedrals were almost as much civic buildings as they were churches, and in the sense that they embodied the pride, the ambition, and the rivalries of the cities, this was eminently the case. But they were also actually used for town meetings, for public festivals, and for theatrical exhibitions — the "miracle plays" and "passion plays," which have survived in one famous instance at Oberammergau. In the Middle Ages the church and the cathedral were always open, like the Roman Catholic churches of our own day. Here the poor man was the equal of the rich. The beggar and his lord met on terms of equality in the liberty of using the building and in the theory of its religious teachings. There were no pews for favored owners. The cathedral was the palace of the poor, and its entire space outside the sanctuary was open to their daily visits and sojourn at will, without disturbance. The cathedral was the museum of art; a museum made, not to display the ostentation of the rich or the luxury of his life, but to teach by pictures and reliefs the history of the world as then known and comprehended by the traditions of the church, and the lessons of faith and of sacrifice. Here were, moreover, the actual memorials and relics of past ages; for here was the treasury not only of the art of the present but also of the art of the past. Finally, the cathedral was the sanctuary of the famous and illustrious dead. Their tombs were its decoration and its pride. JOSEPH WARREN was Grand Master of Massachusetts. There is a handsome memorial to him in Roxbury of that state, where he was buried. General Warren was born in Roxbury in 1741, and he was killed at the Battle of Bunker Hill in 1775. Like so many of our early patriots he was a physician before he became a soldier. He was graduated from Harvard University and practiced medicine in Boston. His courageous and fiery patriotism is revealed by the fact that when Mr. Samuel Adams declined to deliver the address on the second anniversary of the "Boston Massacre," March 5, 1772, Dr. Warren himself delivered it, though he knew the act was fraught with great danger to himself. Dr. Warren was a delegate to the convention at Suffolk, which took measures to prevent Governor Gage from fortifying the south entrance to Boston. He was a delegate to the Massachusetts Congress in 1774, and was elected president of that body. It is said that "to his energy was in great measure due the successful result of the battle of Lexington." In 1775 he received his commission as Major General and took part shortly afterwards in the Battle of Bunker Hill, with which his name will ever be connected in the loving annals of this nation. There is a story told of him to the effect that he was warned by Elbridge Gerry against hazard in exposing his person, to which General Warren exclaimed: "I know that I may fall, but where is the man who does not think it glorious and delightful to die for his country !" Another story relates that a British officer called to him by name to warn him of his risks and even ordered his men to cease firing. Dr. Warren was shot in the head and died instantly. If it be true that the British officer did call to him in this manner we should feel remiss were we to pass so gallant an act without praise. General Warren devoted years to the Craft and occupies a conspicuous place in the history of the early Masonry of the United States. He was a Mason in deed as well as in word, and such men always become the idol of the brethren. Lodges have been named for General Warren in almost every state in the Union. The Grand Secretary of New York, Brother Kenworthy, has made the excellent suggestion that the Craft establish the custom of naming new lodges after these great patriots. "Joseph Warren was born in Roxbury, Mass., June 11, 1741. He graduated at Harvard College in 1759. During 1760 he was employed as a teacher in a public school in Roxbury and in the following year commenced the study of medicine under Doctor Lloyd, an eminent physician of that day. He began practice in 1763 and is said to have distinguished himself at once. In 1764 the smallpox prevailed extensively in Boston and he was very successful in treating it. About this time he began to take an active part in political affairs, and his letters to public men and his newspaper essays soon attracted the attention even of the government. They were remarkable for clearness of thought, terseness of statement, and cogency of argument. In 1774 he was chosen to represent the town of Boston in the Provincial Congress and in the following year was elected President of that body. Here he manifested extraordinary powers of mind and a peculiar fitness for the guidance and government of men in times of difficulty and danger. "The Congress was then sitting at Watertown and upon its daily adjournment he hastened to the military camp there to participate with the common soldiers in the exercise and drills and to encourage and animate them by exhortation and example. The Provincial Congress offered him the appointment of Surgeon General, but he declined it and accepted a Commission as Major General, dated only three days before the Battle of Bunker Hill. "On the night of the 16th of June, 1775, he presided at the meeting of the Colonial Congress which continued in session a great part of the night in Watertown. Early in the morning of June 17th he visited a patient in Dedham and left her saying that he must go to Charlestown to get a shot at the British and would return to her in season for her confinement which was almost hourly expected. He arrived at Bunker Hill only a few moments before the first attack of the British troops. There he refused to take command when offered it by Putnam and Prescott, seized a musket, and fought as a private. His reluctance to obey the order to retreat resulted in his death as he was only a few rods from the redoubt when the British obtained full possession and he; was instantly killed by a bullet in the head. He was buried in a shallow grave on the field. "Immediately after the evacuation of Boston his Masonic brethren determined to go in search of the body. They repaired to the spot indicated by an eye-witness of his death. It was at the brow of a hill, and near the head of the grave was an acacia tree. Upon the removal of the earth which appeared to have been recently disturbed they found the body of their Grand Master. This was on the 6th of April, 1776. They carefully conveyed the body to the State House in Boston, and on the 8th of the same month an oration was delivered over his remains by Perez Morton who was at the time Grand Marshal of the Grand Lodge. After the funeral ceremonies the remains were deposited in a tomb in the Granary Burying Ground where they remained for nearly fifty years. In 1825 his remains were found, identified, deposited in a box of hardwood, designated by a silver plate, and placed in the Warren Tomb under St. Paul's Church, Boston. A number of years later they were again removed and found their final resting place in Forest Hills Cemetery. "King Solomon's Lodge (then of Charlestown, now of Somerville), in December, 1794, erected and dedicated a monument to his memory in the shape of a Tuscan pillar eighteen feet high, resting upon a platform eight feet in height, eight feet square, and fenced about to Protect it from injury. On the top of the pillar was placed a gilt urn with the initials and age of General Warren enclosed within the square and compasses. The dedicatory services and procession were elaborate. The lodge kept the monument in repair until March 8, 1825, when they voted to present the land and monument to the Bunker Hill Monument Association upon condition that there should be placed within the walls of the monument the Association was about to erect a suitable memorial of the ancient pillar in order to perpetuate that early patriotic act of the Masonic Fraternity. In fulfillment of that condition King Solomon's Lodge on June 24, 1845, placed within Bunker Hill Monument an exact model in marble of the original monument. The public ceremonies were conducted by the Grand Lodge, including many distinguished brethren from other jurisdictions. An interesting feature of the occasion was the presentation of the working tools to the Grand Master, Augustus Peabody, by Past Grand Mast John Soley, who had himself fifty years before dedicated the first monument. The corner stone of the present monument was laid with Mason ceremonies on the fiftieth anniversary of the battle under the direction of Grand Master John Abbot, assisted by our illustrious Brother Lafayette. The completion of the monument was celebrated on the seventeenth of June, 1843, the Masonic portion of the procession being under the direction of King Solomon's Lodge. "On that occasion Past Grand Master Benjamin Russell, a soldier of the Revolution, wore the Masonic Apron of General Warren. On June 17, 1857, Most Worshipful John T. Heard, Grand Master, assisted by the Grand Officers and two thousand brethren, inaugurated a statue of General Warren in the presence of about five thousand persons. "Joseph Warren was initiated in St. Andrew's Lodge of Boston on September 30, 1761. He was passed on November 2d, but there is no record as to the date of his raising. On November 14, 1765, the lodge voted unanimously that Doctor Joseph Warren be re-admitted a member of the lodge. He was elected Master in 1769. In December of that year he received from the Earl of Dalhousie, Grand Master of Masons in Scotland, a Commission bearing date May 30, 1769, appointing him Grand Master of Masons in Boston and within one hundred miles of the same. In 1773 he received another Commission dated March 3, 1772, issued by the Earl of Dumfries, then Grand Master of Scotland, extending his jurisdiction over the Continent of America. He was installed under each of these Commissions on the 27th of December of the respective years. Grand Master Warren presided over all the forty meetings of the Grand Lodge held previous to his death, save four. On one of the occasions when he was absent, namely, June 3, 1774, the record recites that the Grand Lodge adjourned by reason of the few Grand Officers present, they being engaged on consequential public business. He was present, however, at the adjourned meeting on the 7th of that month. "Joseph Warren, the first man of distinction to lay down his life in the cause of American liberty, was not only young and handsome, but also able, energetic, patriotic, active and brave. Notwithstanding his youth he had the responsibilities and care of a young family, the anxieties and labors of the large practice of a popular physician, and the demands of an extensive correspondence both at home and abroad, personal as well as political. With all this he was a constant attendant upon the meetings of the Committee of Correspondence, the Committee of Safety, the meetings of the town, of the Sons of Liberty, and other caucuses. He was a prolific writer. He was assiduous in the exercise of his Masonic duties to such an extent that Masonry even in those troublous days flourished and prospered under his administration." When Daniel Webster delivered his masterly address at the dedication of Bunker Hill monument, he made no mention of the monument it displaced, which seems to have been largely forgotten. I am indebted to Brother C.F. Willard of San Diego, California, for the reference, and to the Grand Secretary of Massachusetts (Brother Frederick W. Hamilton) for the picture herewith produced. It tells the whole story, and any attempt to add to its grandeur would be like an effort to paint the lily. But how so great and important an illustration could be buried so long it is hard to understand. The name of King Solomon's Lodge should be emblazoned in letters of gold for this grand act; and, be it remembered, that it must have been erected at no small sacrifice in that day when money was so scarce. This Masonic monument was removed to make place for a larger one, at public expense, thus removing this evidence that the great Warren was a Mason, though his memorial at Roxbury shows that he was. I conclude with a poem that gives excellent expression to the spirit of Warren. My copy is signed by the name "Pierpont": can some reader tell us something about this Revolutionary bard? was he the John Pierpont who was born in 1785 and died in 1866, and who divided his attention equally between themes patriotic and religious ? Stand! the ground's your own, my braves! Will ye give it up to slaves? Will ye look for greener graves? What's the mercy despots feel? Hear it in that battle peal! Hear it on yon bristling steel! Ask it — ye who will. Fear ye foes who kill for hire? Will ye to your homes retire? Look behind you! they're afire! In the God of battles trust! Of his deeds to tell! "Erected A. D. MDCCXCIV., by King Solomon's Lodge of Freemasons, constituted at Charlestown, 1783, in memory of Major General Joseph Warren and his Associates, who were slain on this memorable spot, June 17, 1775. Charlestown Settled 1628: Burnt 1775; Rebuilt 1776. The closed land given by Hon. James Russell." "This is an exact model of the first monument erected on Bunker Hill, which, with the land on which it stood, was given A.D. 1825 by King Solomon's Lodge, of this town, to the Bunker Hill Monument Association, that they might erect upon its site a more imposing structure. The Association, in fulfilment of a pledge at that time given, have allowed, in their imperishable obelisk, this model to be inserted, with appropriate ceremonies, by King Solomon's Lodge, June 24th, A. D. 1845." "I was very pleased to see your remarks on page 135 of volume VI. Royal Cumberland is very much to be congratulated that this is the class of lodge that it is a pleasure to belong to. This awful fetish of feeding that now exists is depressing. On the last two occasions I have been to Chapters (Royal Arch, not in London) my whole evening was spoilt by hustling the ceremony to get to dinner. In one case I was in the second chair and a Provincial Grand Lodge Officer sitting behind who was paying an official visit asked me to get the Z to cut out the lectures and then to take the ballot for the officers in one lot. The other occasion was an installation — only two of the principals were fully installed as the third was already an H. A ceremony of exaltation was to follow but it was actually cut out because they were afraid the soup would be cold! These two Chapters were in different Provinces, but such cases are by no means uncommon. Masonry of this sort is useless. The last time I was in a Mark lodge almost the same sort of thing was done, the Master made very neat little addresses to his new officers, and afterwards a visiting Provincial Grand Lodge Officer groused about it because it made us late for dinner. This sort of thing is a very bad example to the younger brethren. "There is another habit which very much wants stopping, and that is making a Masonic sign when toasting a brother across the table; it seems to be getting much more common than it was and is dangerous when there are so mary outside waiters about." Have undone so much we prize! Never harsh and always wise. Hast thou found a Master's place? Of the Master of all men? Of a Craftsman and a Sage. Part of himself; the immortal mind remains." THESE WORDS, written by Homer 3,000 years ago, remind us how that ages before the ferment of modern thought and all the crusades of our modern religions, men believed in immortality as we do now. If one were to push himself behind Homer into an age long anterior to his, and as ancient to him as his is to us, one would and men cherishing the same hope. Imhotep, the father of architecture in stone, builder to the Egyptian King Zoser, lived 5,000 years ago, but for all that he believed in immortality as did Homer. And so with those to whom Imhotep looked back as to those grown ancient to him; and also with them in their turn; and so on to the beginning of things when the first half-wild hunter paused long enough in his search of meat to gaze wistfully across lovely valleys, where floating gossamers reminded him how frail and how fleeting is human life. It is useless to try to prove by logic or by demonstration the immortality of man. We believe it, there is an end of it! And we do not believe it because we have proved it, but we try to prove it because we already believe it. It is a hope, a kind of inward certainty which finds its support not in this fact or in that, but in the cast and colour of life as a whole. It rises up into our minds like an exaltation from all our thoughts, all our experiences, all our dreams, as the odour that drifts across a summer field distills from numberless unnoted plants. We are never so puzzled as when we are challenged to give a reasoned proof of this hope: and we are never so unreasonable as when we cease to believe it. Men everywhere and always have believed it not because priests have taught them or because scientists have found out the secret of it, but because life itself has taught them, and it is something that the universe itself is always whispering to them. The priests and the churches have not created the belief: it is the belief that has made the priests and churches, and no amount of ignorance, baseness, or superstition appears able to blot out that great hope. The cannibals cling to it, and we ourselves though we sleep in a gutter, hear it announced within that whispering gallery which we call the soul. How long have men believed in immortality? Who was Homer? Imhotep? Why do you believe in immortality? How would you set about to prove it? How do we know that men have always believed it? It is impossible to form any mental picture of the future life. No two religions describe it in the same way, and some of them, ancient Buddhism, for example, have refused to describe it at all. Our modern spiritists who follow in the train of Sir Oliver Lodge, Conan Doyle, Camile Flammarion and their school, believe themselves to have received authentic news from the Beyond but unfortunately they have never been able to agree as to the nature of things in that unknown realm. It appears that such descriptions as are given through the mediums, ouija boards and such other occult means of communication usually conform in a general way to the preconceptions of the spiritists themselves. The Eskimo spiritist is told that heaven is a beautiful place full of icebergs and polar bears; the American Indian learns that it is a happy hunting ground; the Chinese spiritist — spiritism has been developed in China to a degree of respectability and perfection never attained elsewhere — is informed that heaven is a gloried China organized strictly in accord with the principles of ancestor worship. All this would indicate that if bona fide communications ever do penetrate the veil the conditions are such as to preclude the transmission of accurate or definite information, so that spiritists themselves are in like case with the rest of us who find that eye hath not seen nor ear heard nor hath it entered into the mind of man to conceive what the future life is like. Nevertheless it is difficult to cherish even the thinnest hope of a continued life without trying to fashion some sort of conception of it, because the mind cannot otherwise handle the idea at all. Because we hold immortality as a belief we are compelled to think it as a thought, and it is this psychological necessity, perhaps, that has led men in every country and in all ages to make for themselves some picture of heaven. One should not try to quarrel with this, because one cannot do so successfully: man is so made that he must behave in this manner, and that is an end of it. But it is for this reason, I believe, that we should be all the more careful that our thinking about the future life be strictly reasonable. If our nature compels us to think out some conception of immortality, that same nature similarly compels us to fashion a conception that won't insult the intelligence or fly in the face of known facts. It is necessary to be reasonable while we reason about Eternal Life. It seems to me — and I speak here only for myself — that this principle in itself is one of the teachings of Freemasonry concerning this subject. Our Fraternity leaves it to each individual to fashion his own conceptions of the Beyond but at the same time, and by all the arts at its command, persuades its votaries ever to remain in the Light, to seek more Light, and to fear to walk farther than the Light can lead them: and this Light itself is, of course, nothing other than reason, and knowledge, and right thinking. When the subject passes beyond into the darkness of the unknowable it is better to cease pursuing it further, lest we fall into superstition. It is better to remain agnostic about what the future life is like than to hold fast to unreason. How do you picture the future life in your own mind? What is spiritism? Name a few leading spiritists now living. Do spiritists agree among themselves as to the future life? Give an example of some conception of the future life that is contradicted by facts as we know them, and that is unreasonable. Why should we try to make our picture of the future life as reasonable as possible? It is both safe and wise to hold fast to the principle that all reality is bound up together into a great unity — for the which reason we call it a Universe — and that one part of this system does not contradict or give the lie to any other part. There is no good reason to suppose that death makes any profound change in the scheme of things. Death is a part of the Universe and always has been and, it may possibly prove, always will be. It is reasonable to suppose that the Universe will be the same after we are dead as it was before, and that therefore the "future life," as we call it (it is no longer "future" to those now living it) will in all essentials be of a piece with this present life. Why should we expect marvels, wonders, and impossibilities there when such things are not found here? What right have we to suppose that the experience of death will change our world out of all recognition, and transform ourselves into beings utterly different from what we are? "What is human is immortal," said Bulwer-Lytton. Why is not the reverse also true? "What is immortal is human." We are here in closest relation to an earth, out of the surface of which we labour to wrest our bread each and every one of us is the member of one race — the human — and of some one grand division thereof, in consequence of which we differ greatly in colour, language, appearance, and a hundred other things. The race as a whole is equally divided between two sexes, the members of which are so unlike each other in many important respects as to cause one to believe that sexual differences extend into the inmost recesses of human nature, and are not to be put on or off by any possible change. We are each one organized in a physical body, and it is ceaselessly necessary for us to work, to strive, to endure, to eat and sleep, and to suffer. It may be that all these things will be carried over into whatever life, or lives, may be waiting for us beyond. They are neither superficial nor accidental and are so woven into the general scheme of things that it is difficult to understand how human life could know itself after death with all such things omitted. In spite of one's self such a discussion leads into theology, the most irritating of all subjects, and the least appropriate to these pages. In a field where no landmarks are marked out for us we are necessarily forced to fall back on private opinion, a thing I have done throughout this paper, and with the most cordial invitation to the reader to disagree if he is so disposed. I have no interest as a Mason in theological beliefs concerning the future life save to secure for ourselves a principle that will guarantee for us the full protection of the present life and all its values. It may be said that what a man believes about the future is his own private affair and should be respected as such. This is very true as long as the man's beliefs about the life to come do not seriously interfere with the life that now is, a thing that often happens. If my beliefs cause me to be illiberal or harsh, or unkind, or if they are such as to destroy my happiness, then my beliefs become matters of concern to my fellows, and they have a right to challenge me thereon. It is true, as I remarked above, that Freemasonry leaves the fashioning of this religious belief to the individual, nevertheless the Fraternity's spirit and teachings are distinctly opposed to beliefs that lead a man into unbrotherly behaviour or unmasonic conduct. What Masonry has to teach concerning immortality is necessarily of a piece with its other teachings. If democracy, equality, charity, brotherly love, truth, kindliness, and honourable labour are good things now they cannot cease to be good things in the life to come. If such things are of God in this life it is hardly possible that they will cease to be divine in the next life. If a man were to ask me point-blank, "what, in so many words, does Freemasonry teach about the endless life?" I should be hard put to make a reply "Freemasonry does not teach anything about it after the manner of an old-fashioned church catechism, but all its rites and ceremonies, its spirit and its laws are filled with immortality as the sky is suffused with light. Immortality is the motif of the Masonic symphony. There is one word to be said in addition. In the great drama of the Third Degree there are things done and said that give one a new and enlarged conception of everlasting life. The initiate has it brought home to him that if there are some things which abide for ever, so that they are undestroyed by all the deaths that are, it is possible to search out such things now, and to mould his life about them, and give them the place of control at the center of the heart, so that one can live the eternal life in the midst of time. This is not easily gained, as many a man has learned to his cost: there are ruffians at the gates, lions in the path, and often it will seem to one who seeks this Royal Secret that his days are become a succession of deaths. Mounts, and that hardly, to eternal life." What do we mean by saying that we live in a universe? What is your theory about the part death plays in the life of man? What are the things in human nature least liable to change after death? What is meant by theology? What kind of beliefs about the future life cause men to be harsh and unkind? What has Masonry to teach concerning immortality? What is the meaning of the drama of the Third Degree? In what way does the Third Degree teach eternal life? Vol. I (1915) — Immortality — The Circle, p. 133; After Death Shall We Live Again? P. 300; Realization of the Truth, p. 211. Vol. II (1916) — Reflections on the Philosophy of Albert Pike, p. 9; The Spirit of Man, P. 187; The Three Grips, P. 30; The Third Degree, p. 126; Toleration, p. 265. Vol. III (1917) — The Landmarks, p. 211; The Feet of Time, p.25; Life After Death, p. 123. Vol. IV (1918) — Where the Rainbow Never Fades, p. 162; The Ancient Mysteries p. 223; Symbolism of the Three Degrees, p. 291. Vol. V (1919) — Studies in Blue Lodge Symbolism, p. 136; Eleusinian Mysteries, p 240; The Plan of Freemasonry p. 266; Immortality, p. 145. Vol. VI (1920) — Psychical Research, p. 918; Eternal Life, October C.C.B. p. 3; Freemasonry Among the American Indians, p. 295. Vol. VII (1921) — The Immortality of the Soul, p. 50. Vol. VIII (1922) — Death, the Liberator, p. 11; The Future Life, p. 126. Buddhism, p. 122. See also related topics under Aranyaka, p. 74; Aryan, p. 80; Mahabharata, Mahadeva, Mahakasyapa, p. 460; Pitaka, p. 569; Puranas, p. 601, Ramayana, p. 607; Sakti, p. 661, Sastra and Sat B'hai, p. 664; Shaster, p. 685; Shesha, p. 686; Sruti, p. 710; Upadevas, Upanishad, p. 818; Vedanga, Vedas, p. 824; Zenana, Zennaar, p. 878. Egyptian Hieroglyphs, p. 231; Egyptian Mysteries, pp. 232-234; Immortality of the Soul, p. 347; Master Mason or Third Degree, p. 474; Religion of Masonry, pp. 617-619; Speculative Masonry, p. 704; Spiritualizing, p. 706; Spiritual Lodge, p. 706; Sublime, p. 732. ONCE A MAN has begun to take an active part in the activities of the Higher Degrees (as they have come to be called) it is natural for him to become engrossed in them at the expense of his Blue Lodge duties, and that because those degrees offer so much greater variety. Instead of three degrees these other bodies, along with their auxiliaries, offer a half hundred or so, and instead of one group of men there are several, all of which makes for sustained interest as against the comparative monotony of Blue Lodge work. The many brethren who succumb to this appeal are not to be too roughly scolded because they but follow the lead of nature. Nevertheless, and even so, they should all stop, look, and listen. Not one "higher" grade can ever rise above the level of the Craft lodge, which is fons et origina for the whole Masonic system. As the Blue Lodge goes so goes Masonry. If the Blue Lodge sinks into control by the least competent groups how much better off will the other bodies be in the course of time? The whole York Rite and Scottish Rite systems are so utterly dependent on the health and strength of Craft Masonry that no man can be a friend to them who is not loyal to his Blue Lodge, so that the more zealous a man is for the prosperity of any of the additional grades the more active should he be in the work of the three degrees. The Blue Lodge has in the nature of things first lien on a Mason's activities. "Our Masons who have the capacity, the initiative, the personality, are not attending the Blue Lodge. They are not occupying the stations, they are not exercising leadership in that branch of Masonry that is fundamental and where good leadership is so essential. Our new members are not brought into contact with that type of Mason who can give them the vision of a true conception of what Masonry is. They are not receiving the inspiration, not getting the social contacts that they expect and have a right to expect. "Our stronger Masons must come to a realizing sense that they are doing Masonry a real harm and putting Masonry into jeopardy, when they segregate themselves to the Commandery, the Chapter, the Scottish Rite, etc., leaving the novice and the poorly qualified to conduct the affairs of the local Blue Lodge. "I don't believe the members of the higher orders have realized this situation." One of our best admired contemporaries, a Masonic monthly edited with discretion and printed with taste, carries on its cover a symbolic representation of the doors that lead into the Masonic Temple. Significantly enough, these portals, which swing inward as all portals of initiation necessarily do, are wide open, and it is evident that they are intended to remain so. Is not this a misinterpretation of the actual facts? is it not true that the portals of Freemasonry are closed to all without, save when they are opened to them from within? In a sense, yes, but not in the sense interpreted by this symbolic representation. For the real door that opens into the Temple of Freemasonry is not that of wood which swings upon its iron hinges, but the will, the purpose, and the qualifications, mental and moral, which exist in a Due man. To all such who are thus properly qualified the doors of Freemasonry are ever open. Yea, in a real sense, as hinted by one of the old texts of the V.S.L., it is the true and upright man who is himself the door to the Fraternity; for when all is said and done, Freemasonry is not a thing of stones, wood, doors, buildings, and external trappings, but rather is it a circle of open minds and true hearts to which any man is welcome if he be worthy of such a place. Indeed, it is everlastingly true that we can enter into nothing for which we are not inwardly prepared. What is music to a man who has no music in his ear? Of what use are vast libraries of books to him who cannot or will not read? what avail ten thousand schools to one who prefers darkness to light? of what value are all the just laws of a noble land to the citizen who has no conscience in his breast? All the great true eternal things in life, the things which are life itself, if life is to be anything more than mere existence, are for them only who are truly prepared for them. The doors are ever open day and night. All the millions of Freemasons cannot keep one man out of Freemasonry who is already a Freemason in his soul. Among the men of this nation who are now doing most to rescue the rest of us from foggy thinking and foolish creeds Professor John Dewey holds a privileged place, seeing that he is a teacher of teachers, and a writer whose books are revered by young men and women in all the continents. I do not know whether he is a Mason or not: if he is not he should be, and could be too, for his great work on "Education and Democracy" proves him worthy and well qualified. That he can write as well as think, and is full of the human qualities of tenderness, humor, and friendliness, is proved by his "Letters from China and Japan," a volume of letters which he and his wife wrote back to their children during a year in the Orient. But this is not a book review. Ye scribe calls attention to the fact that "Letters from China and Japan" contains two items of some interest to Masonic students. In a letter written from Peking (page 261) Professor Dewey remarks, while writing of a visit to the Higher Normal School of that city, that "the head of the industrial department, who acted as our guide and host, has been organizing the 'national industry' activity in connection with the student's agitation. He is now, among other things, trying to organize apprentice schools under guild control." To those who have supposed craft guilds a thing long extinct this should prove a clue worth following. On page 72 is another item of similar import, and proves how natural and how inevitable, and in all countries, has been the employment of "mason's marks." While describing a reception tendered him in the Arsenal Grounds at Tokyo he writes a paragraph which shows that Japanese carpenters employed marks in the old times, just as Masons did in England and on the Continent. "On one side the Imperial Government is theocratic, and this is the most sensitive side, so that historical criticism or analysis of old documents is not indulged in, the Ancestors being Gods or the Gods being Ancestors. One bureaucratic gentleman felt sure that the divine ancestors must have left traces of their own language somewhere, so he investigated the old shrines, and sure enough he found on sonle of the beams characters different from Chinese or Japanese. These he copied and showed for the original language — till some carpenters saw them and explained that they were the regular guild marks." Both China and Japan are rich, historically and contemporaneously, in matters of peculiar interest to Freemasons. The unfortunate thing is that much of the literature — perhaps one should write it "literature" — purporting to deal with secret societies, guilds, etc., in the Orient has been produced by cotton-headed gentlemen utterly devoid of accurate knowledge. The men and women of the Orient are human beings, not magicians, sages, and miracle workers: their history is real history to be studied like any other history; and they live in a real world among cold facts where 2 plus 2 equals 4, as among us. Books about the Orient should be written in the pragmatic spirit, which is to say, in the spirit that pervades the letters of Professor Dewey, who is for the present the high priest of pragmatism in this country. WHEN IS A MAN A "HIGHER GRADE" MASON? A Freemason is a man who believes that the power of God is behind and beneath him, like the ground under his feet, and that the love of God is over him like the sky: who believes in the endlessness of human life; who believes that it is the nature of man to be friendly; and who allies himself with the Honorable Society of Ancient Free and Accepted Masons, in order to join with like-minded men in the furtherance of such ideals. When such a Mason has by his intelligent faithfulness surpassed the rank and file of his fellows so that he understands and practices Freemasonry more than they do, he becomes entitled to enroll among the members of the "higher grades." Unless his membership in those honorable ranks is thus honestly won, all his badges and distinctions and the long train of his titles are no more than the rattle of an empty wagon on the street. "I shall not gild thy house, my son,"
Breathed God upon His plan. Come, carve thyself a man." And would not let thee try." A kingly mansion, O my Son! And thou shalt rule with Me!" May mar its beauty but not touch its strength. Mackey's Revised History of Freemasonry, Robert I. Clegg. Seven volumes, De Luxe fabrikoid binding. Published by the Masonic History Company, 225 North Michigan Avenue, Chicago, III. For sale by The National Masonic Research Society, Anamosa, Iowa. Price $56.00. SOME FIELDS of reading and research are complete in themselves, so that a man never exhausts them or grows weary but finds his interest new every morning and his delight growing by what it feeds upon. Subjects less rich in resources are exhausted at last and pall upon one, but these larger subjects are inexhaustible so that nobody ever comes to the end of them, and he who has given his life to them feels at the end like Sir Isaac Newton who had merely snatched a handful of sand from the limitless supplies of the ocean. All the major sciences, the fine arts, the larger industries, some forms of business, and a few other fields more difficult to classify, such as theology and philosophy, are of such a character. They constitute in themselves a complete system of culture, so that a man who makes himself at home with them achieves for himself an education which, though it may always be enriched by additions from other sources, is nevertheless complete and satisfying in and of itself. To become the servant of any one of these major arts and sciences is to be put into possession of those truths and uses of the mind whereby one becomes a matured man, fruitful in labors and worthy of dignity and honor. He is like one that has won at last to a mountain top — his position puts him into possession of the whole country. And, so far as that is concerned, it matters little what mountain he has elected for his own, if only it be one that gives him a commanding position. Freemasonry is such a subject. It is not as public as some, or as popular as others, and its nature and extent may not always be known to its own sons, but for all that it is, like one of the sciences, or professions, or an art, a world within the world, a life inside life, a complete circle of interest inside of which any man may find a rich culture. It infinitives itself in all directions, one of its interests leading to another and that to a third and so on in an endless chain, until one discovers that he who ascends the mount of Masonic learning is master of one of the major peaks, and in possession of a vast country. "I have been studying Masonry for thirty years," once remarked our veteran colleague and brother, J.T. Thorp, "and don't know much about it now," the contrast being not to the paucity of the rewards of such long study, but to the inexhaustibleness of the subject studied. The life-long pursuit of Masonic knowledge is one of the most richly rewarding activities in which any man can engage. For, as Albert Pike wrote when himself grown old, "There is nothing which will so well remunerate a man, when the days of his life are shortening to the winter solstice, as faithful service in the true interest of Masonry." The Craft is as large as the world itself, and somewhere or other connects with every vital human interest on the periphery of life. Of men in this world." For these reasons I refuse to think of Freemasonry as being merely a lodge, or even as being nothing more than a Fraternity. Neither do I like to think of it as one among many secret societies, which have a curious but not an urgent interest. Freemasonry is one of the great public institutions like the home, government, the courts, the church, and the public school. It has played its own great part in history, and has for itself its own long chapter in the troubled annals of our race. Our clubs and societies are little sanctuaries by the way, kindly and cheerful places of refreshment. Freemasonry is a great home at the end of the road in which men may find work, food and peace all their days. To grow old in its service, to learn all its ways, to be a faithful son to it, is to live such a life as that described in the First Psalm where a good man is described as a tree planted by living waters. The riches of Freemasonry do not lie on the surface. There are many obstacles to be met and many difficulties to be overcome by the man who would possess himself of it, especially if he seeks to appropriate it intellectually. The ritual is to the casual member sealed and hidden and written in a dead language. The symbols are as mute as the hieroglyphics of Egypt to one who has not the key. The philosophy of the Craft is not a fool's paradise of easy ideas for children to play with. Above all — and it is to this that I call special attention — the history of the Order has not always been made safe or available to Masons, especially to those without time or gifts for laborious research. There is no virtue in these facts: quite the contrary! The ritual should be unsealed to every Mason, the symbols interpreted, the philosophy be made plain, and the story of the Craft straightforwardly told in plain language. There are many mysteries, and necessarily so, in Freemasonry, but there need be no mystification. To my own mind the great value of the newly revised edition of Mackey's History of Freemasonry lies in the fact that it now presents to each man a key to these unsearchable riches of Masonry. In the language of one of the old mystics, "It puts a man at home in the house." The Fraternity's own past, which is one of its greatest treasures, and which, more than anything else, is fit to inspire a Mason with reverence and love for it, is brought out into the open, into the sunlight, and made available to the common man who can't read Hebrew, Greek, or Medieval English. To read through these seven volumes is like going on a journey through many lands, with stop-overs in great cities, and side trips among ancient ruins. One begins with Prehistoric Masonry. He reads the story of the various Legends of the Craft, and learns about the Old Manuscripts, with digressions into the quaint stories of Lamech's Sons, the Tower of Babel, the Legends of Nimrod, and the Legend of Euclid. The origins of the Fraternity are admittedly a mystery but certain of our great men have circulated hypotheses about it, and these are reviewed in chapters on Anderson, Preston, Hutchinson and Oliver. The author then undertakes an account of his own and begins, where it is necessary to begin, with the Temple of Solomon: thereafter come the Dionysian Artificers, the Ancient Mysteries, the Druids, the Crusades — a fascinating chapter — the Scottish Templars, the Story of the House of Stuart, of the Jesuits, and of the intriguing tale of Oliver Cromwell and his supposed connection with the Order. This is but one-seventh of the journey. In Volume II there is a much needed chapter on The Royal Society. Then come the occult groups, the tale of which has been repeated numberless times but never exhausted; the Astrologers, the Rosicrucians, the Pythagoreans, the Gnostics, and the Essenes. Then follows an excellent critical account of the Hiram Abif Legend, and the first main portion of the work, Prehistoric Masonry, is completed. The History of Freemasonry in the eyes of the author, and strictly so-called, begins on page 481, of Volume II, with the Roman Collegia. It is a great world in itself and there is not space here to follow the itinerary further, or even to sketch in an account of the main heads, which are very many. If any Mason is desirous of possessing himself of the "unsearchable riches" of Masonry he can do so in these seven volumes. To read them is an education, and a discipline that every Mason owes to himself. The ground plan of this magnum opus was laid out, and great stores of data accumulated, by Albert G. Mackey, to whose enduring and gentle fame this issue of THE BUILDER is dedicated. It was Dr. Mackey's hope to make this the crown of his life's labor but unhappily death cut him off before he had completed it. Brother William R. Singleton took his place and brought the manuscript to shape for publication and gave it to the world in a shape now long familiar. It is probable that more men have been given an adequate sense of the vast scope of Freemasonry by this History than by any other work, with possibly the exception of the Encyclopedia. But it happens that Mackey laid down his pen at the very time when a new era of Masonic scholarship was reaching its meridian: Lyon, Crawley, Gould, Speth, Hughan and many others of equal fame had organized a new school of Masonic scholarship, and there is no telling what will yet be the outcome of their labors, seeing that every year finds some new bit of the hitherto unknown discovered, explored and claimed for Masonic knowledge. Owing to this new uncovering of rich deposits of lore it became necessary at last to revise the History. This difficult and responsible task was entrusted to the general editorship of Brother Robert I. Clegg, than whom there is not in all the land a better known or more beloved Masonic student and writer, and whose name is thrice familiar to these pages. It is to him, and to the equally indefatigable labors of Brother Walter C. Burrell, President of The Masonic History Publishing Company, that we are indebted for the new edition of the old familiar work. "I have just completed the seven volumes and am much impressed with it, as I wrote to Brother Clegg. His own work is in evidence everywhere and the immense erudition displayed makes the book a real Masonic library. The old history has been improved at so many points as to make the Revised History virtually a new work. Dr. Gasho, a brother who is much interested in all these things, has the edition to which Singleton contributed, with the final chapter by Hughan, and it is only necessary to compare volume by volume to realize that here Bro. Clegg and his associates have brought every subject down to date." The seven new volumes are a delight to see especially as regards the binding and the illustrations. The index is very complete, and there are many footnotes. Take it up one side and down the other it would be difficult anywhere to find a set of books that will more easily enable a man of modest equipment and of little leisure to make his own all "the height and depth, and length and breadth, and the unsearchable riches" of Freemasonry. H.L. Haywood. "Mackey's Symbolism of Freemasonry," revised by Robert I. Clegg; published by Masonic History Company Chicago. De Luxe fabrikoid binding. For sale by National Masonic Research Society. Price $3.65 postpaid. Dear old Mackey! as one turns over the aging pages of the old books he seems as near and as alive as ever. He is always quiet, always gentle, and he never resorts to the tricks of the writers' trade to capture attention, but for all that there is a certain virility about him that age cannot wither or custom stale. Of all the writers of the older school he is the most contemporaneous, and far and away the most influential. More copies of his works are being sold today than of any recent writer and there is no doubt but that this will long continue. Mackey is a great and universal Masonic influence with whom every student and reader of Masonry must acquaint himself. Mackey was at his best in writing on the symbolism of Freemasonry. It was a task for which the bent of his mind and the nature of his learning peculiarly fitted him. Later writers, many of them, have been more scientific, and any number have been more clever, but few have possessed that peculiar quality of mind that set Mackey apart as a symbologist of the first order. Masonic symbolism is a subject which, by virtue of its own nature, does not very rapidly outgrow itself. Mackey issued the first edition of his "Symbolism of Freemasonry" in 1869. 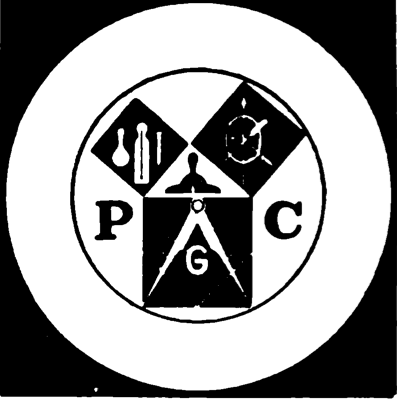 Since that date the whole field of Masonic scholarship has been revolutionized from top to bottom; the school of Preston and Oliver has vanished and time has outlawed most of what they wrote; but, owing to the nature of the subject, there is comparatively little of the "Symbolism" that must be altogether discarded. The famous "nineteen propositions" of the first chapter which "contain a brief but succinct view of the progress of Freemasonry," and the arguments concerning "The Noachidae" and "Primitive" and "Spurious" "Freemasonry of Antiquity," are now of very little value, and so with a few other pages here and there. Compared with the total bulk of the work this is almost negligible. Brother Robert I. Clegg, editor of the new edition of the book, has added two paragraphs to Mackey's original Preface and has included a valuable chapter of his own by way of "An Introduction to Symbolism," but elsewhere has made few changes. "Up to this point," writes Brother Clegg in his addition to the Preface, "we have used the preface written by the great student and need now but explain the work of revision. Brother Mackey's examination of Masonic symbols is today as of yore admirable and stimulating. No Freemason at all worthy of the name can read it without pleasure and profit. All that was necessary for us to do was to make corrections of errors that crept into the book, and add here and there such comments as seemed to us to be most helpful to the reader in the light of our present-day knowledge of the institution. "The chapter on an Introduction to Symbolism is new and prepared by the reviser for this edition. Here as elsewhere the purpose has been to do as Brother Mackey would no doubt have wished the work to be done; to correct the text with every respect for the lofty purpose of the original author, and to add such amendments as would in the same way better facilitate the reader's progress." Again Brother Clegg writes in his Introduction: "Brother Mackey put into his study of Symbolism the ripened researches of many years. No other book of his more clearly shows the depth of his reading and reflection. His was the wisdom that never lacked words of simplest worth to make it known and understood. None so clearly as he could fit lucid language to the exposition of what he knew of Freemasonry. And none packed into his sentences more meaty food for reflection." The titles of the thirty-two chapters will furnish a reader with a more adequate conception of the contents of the book than a great deal of description could do. They are: An Introduction to Symbolism; Preliminary, Origin and Progress of Freemasonry; Noachidae; Primitive Freemasonry of Antiquity; Spurious Freemasonry of Antiquity; Ancient Mysteries; Dionysiac Artificers; Union of Speculative and Operative Freemasonry at the Temple of Solomon; Traveling Freemasons of the Middle Ages; Disseverance of the Operative Element; System of Symbolic Instruction; Speculative Science and the Operative Art; Symbolism of Solomon's Temple; Form of the Lodge; Officers of a Lodge; Point within a Circle; Covering of the Lodge; Ritualistic Symbolism; Rite of Discalceation; Rite of Investiture; Symbolism of the Gloves; Rite of Circumambulation; Rite of Intrusting, and Symbolism of Light; Symbolism of the Corner Stone; Ineffable Name; Legends of Freemasonry; Legend of the Winding Stairs; Legend of the Third Degree; Sprig of Acacia; Symbolism of Labor; Stone of Foundation; Lost Word; and Synoptical Index. The new edition is bound in De Luxe fahrikoid binding in color and design to match the revised edition of Mackey's History of Freemasonry reviewed otherwhere in this issue. This is to announce the advent of the Bound Volume of THE BUILDER for 1922, copies of which may now be had. Readers should investigate this bound volume: many of them will be surprised to discover how much it adds to the sightliness and convenience of twelve issues of this journal. When each monthly issue is printed a certain number of copies are especially prepared for binding. At the end of each year these twelve especially printed copies are placed together with a complete descriptive index of fourteen pages and securely bound in goldenrod buckram, with title label in gold. No covers are bound in. Every page is absolutely unused, and the whole is so numbered as to form a complete book of about 375 pages of the same size as THE BUILDER. In the index is furnished a guide to each and every item that has appeared during the year, along with cuts, authors, books, etc., by means of which one can locate anything at a moment's notice. The volume is beautiful in appearance, in typography, paper, illustrations, arrangement and size. It is an ideal Christmas gift for a Mason. This is the eighth of such volumes thus far issued by The National Masonic Research Society. Taken together these eight books constitute the most comprehensive and accurate Masonic library in existence. They contain more than 400 complete signed articles on important Masonic topics; hundreds of replies to questions about Masonry; and editorials, letters, poems and book reviews on nearly every matter of consequence connected with Freemasonry. Such a set of books is an ideal foundation for a private Masonic library. Nothing is of merely local or temporary interest. Everything is designed for permanency and for universality. THE BUILDER does not reflect sectional views; it does not represent any party or clique or rite; it is not published for commercial purposes. For these reasons a set of the Bound Volumes is not a file of old magazines, the interest of which must necessarily fade with the passage of time, but a set of books, the first page of which is as interesting as the last; an encyclopedia of Masonry, the value of which increases with the addition of each new Bound Volume. Contained within this set of books is a number of Masonic books published in serial form. He who owns the set possesses Pound's "Philosophy of Freemasonry"; Pound's "Lectures on Masonic Jurisprudence"; Ravenscroft's "The Comacines"; Haywood's "Symbolical Masonry"; Haywood's "The Teachings of Masonry"; Wright's "Woman and Freemasonry"; Wright's "Roman Catholicism and Freemasonry"; Pike's "Humanum Genus"; Lawrence's "Military Lodges"; Barry's "The Story of Old Glory"; Street's "Symbolism of the Three Degrees"; Goodwin's "Mormonism and Masonry," etc. "What is Masonry," by Francis E. Lester, P.G.M., New Mexico. Published by the author, Mesilla Park, New Mexico. This is a vest pocket volume on a big subject. Brother Lester tells us in his introductory page that at the time he was raised he was unable to learn much about the institution of which he had become a member, or of the ceremonies in which he had participated. "The one thing that was missing was the kindly explanation by a brother of what relation Masonry, with its teaching and ritual, bore to the duties and responsibilities of daily life." This booklet of thirty pages, bound in blue paper, is a "kindly explanation" of many of the things about which a newly raised Mason is most anxious to learn, and to all such it is to be recommended. On the last page there is a list of some twenty or so books "suggested for supplementary reading": it is an excellent brief bibliography. Copies may be secured from the author. We are constantly receiving inquiries from readers as to where they may obtain publications on Freemasonry and kindred subjects not offered in our Monthly Book List. Most of the books thus sought are out of print, but it may happen that other readers, owning copies, may be willing to dispose of the same. Therefore this column is set aside each month for such a service. And it is also hoped — and expected — that readers possessing very old or rare Masonic works will communicate the fact to THE BUILDER in behalf of general information. In no case does THE BUILDER assume any responsibility whatsoever for publications thus bought, sold, exchanged or borrowed. By Bro. Frank R. Johnson, 306 East 10th St., Kansas City, Mo. : "The Year Book," published by the Masonic Constellations, containing the History of the Grand Council, R. & S. M., of Missouri. By Brother Silas H. Shepherd, Hartland, Wisconsin: "Catalogue of the Masonic Library of Samuel Lawrence"; "Second Edition of Preston's Illustrations of Masonry"; "The Source of Measures," by J. Ralston Skinner 1875, or second edition 1894; "Ars Quatuor Coronatorum," volumes I to XI inclusive. By Bro. Ernest E. Ford, 305 South Wilson Avenue, Alhambra, California: "Ars Quatuor Coronatorum," volumes 3 and 7, with St. John's Cards, also St. John's Cards for volumes 4 and 6; "Masonic Review," volumes 1, 2, 7, 31, 32 and 43 to 60, inclusive; "Voice of Masonry," volumes 2 to 12 inclusive, and volume 16; Transactions Supreme Council Southern Jurisdiction for the years 1882 and 1886; Original Proceedings of The General Grand Encampment Knights Templar for the years 1826 and 1836. By Brother L. Rask, 14 Alvey St., Schenectady, N. Y.: "Remarks upon Alchemy and the Alchemists," by E. A. Hitchcock, Janesville, N. Y., about 1866; "The Secret Societies of all Ages and Countries," by C. W. Heckethorn; "Lost Language of Symbolism," by Harold Bayley, published by Lippincott; "Sacred Hermeneutics," by Davidson, Edinburgh, 1843; "Solar System of the Ancients Discovered," by J. Wilson, published by Longmans Co., London, 1856; "The Alphabet," by Isaac Taylor, Kegan, Paul, Trench & Co., 1883, or the edition of 1899 published by Scribners, New York; "Anacalypsis," by Godfrey Higgins, 1836, published by Longmans, Green & Co., London; "Ars Quatuor Coronatorum," any volume or volumes. By Brother N. W. J. Haydon, 664 Pape Avenue, Toronto, Ontario, Canada: "The Beautiful Necessity," and "Architecture and Democracy," by Claude Bragdon. By the National Masonic Research Society, Anamosa, Iowa: "Discourses upon Architecture," by Dallaway, published in 1833; any or all volumes of "The American Freemasons' Magazine," published by J. F. Brennan, about 1860. By Brother E. A. Marsh, 820 Broad Ave. N. W., Canton, Ohio: "Numbers: Their Occult Power and Mystic Virtue," by William Wynn Westcott, published 1902 by the Theosophical Publishing Society. By Brother Frank R. Johnson, 306 East 10th St., Kansas City, Mo. : "History of Freemasonry," Mitchell, 2 volumes, sheep; "History of Freemasonry," Robert Freke Gould, 4 volumes, cloth in good condition; "History of Freemasonry," Albert G. Mackey, 7 volumes, linen cloth, new; Addison's "Knights Templar," Macoy, 1 volume, cloth; "Museum of Antiquity," Yaggy, 1 volume, morocco; "History and Cyclopedia of Freemasonry," Macoy and Oliver, new, full morocco. Also miscellaneous books. THE BUILDER for August interested me more than any copy I have ever seen. My copy is worn out with lending. Can you tell me where I can find some more literature like it? The Bureau of Social and Educational Service of the Grand Lodge of New York issued as their Bulletin No. 3, for March 2, 1922, a twenty-four page booklet on "The Public School Crisis," in which was incorporated a valuable list of up-to-date pamphlets and booklets on the subject, written from every possible angle. The list could not be improved. American City Bureau, 154 Nassau Street, New York. Ask for "Know and Help Your Schools," Third Report of National Committee for Chamber of Commerce Cooperation with the Public Schools. George D. Strayer, Chairman. American Council of Education, Washington, D. C. Ask for reprint from School and Society, Vol. 13, No. 321, article by Samuel P. Capen. American Legion Weekly, 627 West 43d Street, New York. Ask for issue of Dec. 2, 1921, article, "The American's Part in Americanism," by Warren G. Harding. Also Report of Conference of Board of Directors of National Education Association and Representatives of the American Legion, June 3, 1921, at Des Moines, Iowa. American Physical Education Review, 93 Westford Avenue, Springfield, Mass. Ask for "Report of Committee of Society of Directors of Physical Education in Colleges." Also "The Aims and Scope of Physical Education." Mrs. Rogers H. Bacon, 210 E. 61st Street, New York City, Chairman, Plan and Program Committee, Women's Clubs of Greater New York. Ask for "Report to Board of Education on School Building Conditions in New York City." Boston League of Women Voters, 553 Little Building, Boston, Mass. Ask for "How Our United States Spends Its Income," Leaflet, by E. B. Bosa. The Bureau of the Census, Washington, D. C. Ask for circular, "Composition and Characteristics of the Population." Also "Men and Women of Voting Age." Also "Citizenship of the Foreign Born." United States Bureau of Education, Washington, D.C. Ask for "Report of the Commissioner for the year ended June 30, 1921." Also "Education for the Establishment of Democracy," Address by P. P. Claxton, late Commissioner of Education. Also "Cost of Education in the United States," Circular by P. P. Claxton. Also "Expenditures for Public Education in New York," Circular by P. P. Claxton. Bureau of Naturalization, Washington, D. C. Ask for "Annual Report of the Commissioner." Chamber of Commerce of the United States, Washington, D. C. Ask for "Schools, Citizenship, and Business," Civic Development Publication No. 4. Committee on Education, House of Representatives, Washington, D. C. Ask for "Hearing on Illiteracy under H R 15402." The National Catholic Weekly, 225 West 39th Street, New York. Ask for "The Case Against the Smith-Towner Bill; Shall the Federal Government Control Our Schools ?" Pamphlet by Paul H. Blakely, Ph.D.
National Education Association, 1201 16th Street N. W., Washington, D. C. Ask for "American Education Week," December 4-10, 1921," Bulletin No. 16. Also "A National Program for Education," Pamphlet. Also "Education and the Federal Government," Pamphlet, by Hugh S. Magill. Also "The SmithTowner Bill; A Discussion of Its Fundamental Principles and Brief History of Movement for a Department of Education," Pamphlet, by Hugh S. Magill. Hon. Horace M. Towner, House of Representatives, Washington, D.C. H R 7. Ask for copy of "Towner-Sterling Bill." Public Education Association, 8 West 40th Street, New York. Ask for "A Primer of Public School Progress." Also Bulletins Nos. 4, 25, 104, 105, 106, 109, 110, 111, 112, 113, 114, 116, 117, 118, 119, 120. Russell Sage Foundation, Lexington Avenue and 22d Street, New York. Ask for "Trend of School Costs," by Warren Randolph Burgess. $1.00. School and Society, 11 Liberty Street, Utica, N. Y. Ask for Inaugural Address of Frank Pierrepont Graves, as Commissioner of Education for the State of New York, "A State and Its Education," Vol. 14, No. 357. University of the State of New York, Albany, N. Y. Ask for "Americanization in Industry," by Caroline A. Whipple. Also "Community Organization and Program for Americanization Work," by William C. Smith. Also "Education Law as Amended to July 1, 1920," Bulletin 707. Also "Financial Independence of Boards of Education," Pamphlet by Frank B. Gilbert. Also "Immigrant Education," by William C. Smith. Also "Organization and Administration of Part-Time Schools," Bulletin No. 697. Also "School Health Service and Medical Inspection Law." Can we tell me how many of our Presidents have been members of the Scottish Rite? James A. Garfield was a member of the 14th degree of the Rite and made so in Mithras Lodge of Perfection, Washington, D. C., January 2, 1872. Andrew Johnson received the degrees from the 4th to the 32nd by communication, June 20, 1867, at the White House. Warren G. Harding received the 32nd degree in Scioto Consistory, Columbus, Ohio, January 5, 1921, and has been elected for the 33rd in the Northern Masonic Jurisdiction. The rigid test of the compasses and square." Can some brother help me out? Will some reader please give us this poem? Please inform me what is meant by a phrase in the monitor about the "clouded canopy or starry decked heaven." It is the word "decked" that puzzles me. The word is of medieval origin and appears to have been common to Teutonic peoples. In old English it appears as "deccan" and means "to thatch over or cover a house," by which it is seen to belong to the same group of words — so far as our ideas are concerned — as our "tiler." From this use it came in time to signify generally any covering or clothing, and more especially fine clothing, as when we now say of a woman that she is "decked out in finery." Hence also the word "bedecked." The old Coverdale Bible of 1535 used the word in at least two instances: "She coloured her face, and decked her headed II Kings, ix, 30. "Thou deckest thyself with light as it were with a garment." Psalms, ciii, 2. This makes clear the meaning of the phrase about which you inquire. "The starry decked heaven" is the night sky covered, or clothed, with stars. It is real poetry, worthy of Shakespeare. Can you kindly furnish me with some information about the Cedars of Lebanon? I am studying the First degree. Cedrus Libani, the far-famed Cedar of Lebanon, is a tree which, on account of its beauty, stateliness and strength, has always been a favourite with poets and painters, and which, in the figurative language of prophecy, is frequently employed in the Scriptures as a symbol of power, prosperity and longevity. It grows to a vertical height of from 50 to 80 ft. — "exalted above all trees of the field" — and at an elevation of about 6000 ft above sea-level. In the young tree, the bole Is straight and upright and one or two leading branches rise above the rest. As the tree increases in size, however, the upper branches become mingled together, and the tree is then clump-headed. Numerous lateral ramifying branches spread out from the main trunk in a horizontal direction, tier upon tier, covering a compass of ground the diameter of which is often greater than the height of the tree. William Gilpin, in his Forest Scenery, describes a cedar which, at an age of about 118 years, had attained to a height of 53 ft. and had a horizontal expanse of 96 ft. The branchlets of the cedar take the same direction as the branches, and the foliage is very dense. The tree, as with the rest of the fir-tribe, except the larch, is evergreen; new leaves are developed every spring, but their fall is gradual. In shape the leaves are straight, tapering, cylindrical and pointed; they are about 1 in. long wad of a dark green color, and grow in alternate tufts of about thirty in number. The male and female flowers grow on the same tree, but are separate. The cones, which are on the upper side of the branches, are flattened at the ends and are 4 to 5 in. in length and 2 in. wide; they take two years to come to perfection and while growing exude much resin. The scales are close pressed to one another and are reddish in color. The seeds are provided with a long membranous wing. The root of the tree is very strong and ramifying. The cedar flourishes best on sandy, loamy soils. It still grows on Lebanon, though for several centuries it was believed to be restricted to a small grove in the Kadisha valley at 6000 ft. elevation, about 15 m. from Beyrout. The number of trees in this grove has been gradually diminishing, and as no young trees or seedlings occur, the grove will probably become extinct in course of time. Cedars are now known to occur in great numbers on Mt. Lebanon, chiefly on the western slopes, not forming a continuous forest but in groves, some of which contain several thousands of trees. There are also large forests on the higher slopes of the Taurus and Anti-Taurus mountains. Lamartine tells us that the Arabs regard the trees as endowed with the principles of continual existence, and with reasoning and prescient powers, which enable them to prepare for the changes of the seasons. The wood of the cedar of Lebanon is fragrant, though not so strongly scented as that of the juniper or red-cedar of America. The wood is generally reddish-brown, light and of a coarse grain and spongy texture, easy to work, but liable to shrink and warp. Mountain-grown wood is harder, stronger, less liable to warp and more durable. The cedar of Lebanon is cultivated in Europe for ornament only. It can be grown in parks and gardens, and thrives well; but the young,plants are unable to bear great variations of temperature. The cedar is not mentioned in Evelyn's Silva (1664), but it must have been introduced shortly afterwards. The famous Enfield cedar was planted by Dr. Robert Uvedale (1642-1722), a noted schoolmaster and horticulturist, between 1662-1670, and an old cedar at Bretby Park in Derbyshire is known to have been planted in 1676. Some very old cedars exist also at Syon House, Woburn Abbey, Warwick Castle and elsewhere, which presumably date from the 17th century. The first cedars in Scotland were planted at Hopetoun House in 1740; and the first one said to have been introduced into France was brought from England by Bernard de Jussieu in 1734, and placed in the Jardin des Plantes. Cedar-wood is earliest noticed in Leviticus xiv, 4, 6, where it is prescribed among the materials to be used for the cleansing of leprosy; but the wood there spoken of was probably that of the juniper. The term Eres (cedar) of Scripture does not apply strictly to one kind of plant, but was used indefinitely in ancient times, as is the word cedar at present. The term arz is applied by the Arabs to the cedar of Lebanon, to the common pine-tree, and to the juniper; and certainly the "cedars" for masts, mentioned in Ezek xxvii. 5, must have been pine-trees. It seems very probable that the fourscore thousand hewers employed by Solomon for cutting timber did not confine their operations simply to what would now be termed cedars and fir-trees. Dr. John Lindley considered that some of the cedar-trees sent by Hiram, king of Tyre, to Jerusalem might have been procured from Mount Atlas, and have been Callitris quadrivalvis, or arar-tree, the wood of which is hard and durable, and was much in request in former times for the building of temples. The timber-work of the roof of Cordova cathedral, built eleven centuries ago, is composed of it. In the time of Vitravius "cedars" were growing in Crete, Africa and Syria. Pliny says that their wood was everlasting, and therefore images of the gods were made of it; he makes mention also of the oil of cedar, or cedrium, distilled from the wood, and used by the ancients for preserving their books from moths and damp; papyri anointed or rubbed with cedrium were on this account called ced ati libri. Drawers of cedar or chips of the wood are now employed to protect furs and woollen stuffs from injury by moths. Cedar-wood, however, is said to be injurious to natural history objects, and to instruments placed in cabinets made of it, as the resinous matter of the wood becomes deposited upon them. Cedria, or cedar resin, is a substance similar to mastic, that flows from incisions in the tree; and cedar manna is a sweet exudation from its branches. Can you tell me anything about a book called "Original Thoughts," by Duffy? I imagine that it may be out of print now. "Original Thoughts" was written by Brother Frank M. Duffy and published in 1868. Of the author himself no memorials are at hand (unless perchance some reader of these pages may have a record filed away), save that he was a member of Union Lodge No. 113, Hartsville, Tennessee. He must have been a man of noble character and fine mind, else his book misrepresents him, for it is one of the most beautiful essays on Freemasonry that ye scribe has ever read. It was composed in a day when Freemasonry was identified with Geometry, and Geometry itself was, after the ancient fashion of Plato, deemed a revelation of the Eternal mind: therefrom arose a blend of scientific speculation and religious mysticism very seldomly met with now. "Original Thoughts" does not call into question any of those views of Masonic history given currency by Dr. Oliver and his school and is to that extent out of date, but the spirit in which the little book was conceived will never fall from date unless it should turn out — which may God prevent — that men will cease to feel reverence, wonder, and worship in the depths of their nature. One of the few copies now known to exist is in the possession of Brother J. E. Gwin, Hartsville, Tennessee. Can you tell me where I might purchase an authentic book on King Solomon's Temple, containing illustrations? Among the well-nigh numberless books on the subject that might be mentioned two or three will doubtless serve your purposes: "Solomon's Temple: Its History and Its Structure," by the Rev. W. Shaw Caldecott. Preface by A. H. Sayce. The Union Press, 1816 Chestnut Street, Philadelphia. "The Tabernacle: Its History and Structure," by same author and publisher. "The Temple, Its Ministry and Services as they were at the Time of Jesus Christ," by Dr. Alfred Edersheim; Hodder and Stoughton, New York. Captain Jerome B. Frisbee, Lindsay, California, has published a book on the Temple very complete in diagrams and illustrations and unique in its interpretations. I saw in the March number of THE BUILDER (page 96) an account of Brother Arelius M. Willoughby who had served as Secretary of Vincennes Lodge No. 1 of Vincennes, Indiana, from 1876 to the present time excepting one year when he was elected Master, making 45 years of service as Secretary, which is a record hard to beat. Now I am somewhat of an antique secretary myself I was elected secretary of Roger Williams Lodge No 32, F. & A. M., of Centerdale, Rhode Island, March 4, 1876, and have served continuously to the present time June 10, 1922, and am still at it and am on my 47th year of continuous service, which is the record for Rhode Island. I congratulate Vincennes Lodge for having so interested and faithful a brother for their secretary and hope he may live many years to enjoy the honor and pleasures of a well spent life. Frank C. Angell, Rhode Island. In order to stimulate interest in its work as a degree team, the Fellowcraft Association connected with St. John's Lodge No. 3 A.F. & A.M. of Bridgeport, Connecticut, has perfected an initiatory form, which is used to initiate its new candidates into the Association, and teach them some of the duties connected with the privileges extended. After being organized for thirteen years, it was found by experience that the members of the Association, like the old saying "A new broom sweeps clean," came in the front door, so to speak, and after a few years work gradually passed out the back door, and new recruits took their places on the teams. In order to make the work more interesting and attractive, the idea of having a little side degree was hit upon, and as a novelty used to "razz" some of the popular members, worked successfully for a while. It hit the nail on the head because "all work and no play makes Jack a dull boy." Then the War came along, and many of the boys were called to service, and scattered to the furthermost parts of the earth. When they returned they still remembered the joys of the gatherings held before their departure, and the ball was started rolling for something bigger and better. Accordingly, a committee was appointed for the purpose of revising the ritual used. That committee did their work so well that the degree at once came to be known as the "Perfected Craftsman's Degree" from which the present name of "Perfect Craftsman Degree" came. The Perfect Craftsman Degree is based on Masonic history and traditions, and practically opposite in form from Blue Lodge work. The degree impresses on the mind of the candidate the importance of his Masonic ties and obligations, and presents them to him in a manner that makes an indelible impression upon his mind. The degree instructs and amuses at the same time. In order to be sure that there was nothing used in the work that would, in any way, conflict with Masonic Law and Practices the ritual was submitted to the present Grand Master of Masons in Connecticut, M∴ W∴ Frank L. Wilder, who referred the matter to a committee for examination and recommendation, the result being that the degree work was found to be all right and was endorsed as "harmless." The ritual uses a vocabulary of its own; a local Association is known as a quarry, a chair as a stone, etc. Since the new ritual was used for the first time last October (1921) nine new quarries have been organized, and four more are about to be started. The fact is that the movement, which has many aims along social development lines, has grown so rapidly that the original Degree Committee has had to reorganize into what is known as the "Activity Committee of Perfect Craftsman Quarries of Connecticut." The said committee is organized solely for the purpose of developing the social side of Masonry. Plans are being formulated for the arrangement of a schedule of fraternal visits for the balance of the present season, and the winter of 1922-23, and for a monster Field Day for all Blue Lodge Masons residing within the State of Connecticut, to be held at some central point durmg the summer at which time a gathering, which will be a credit to the Masonic institution, will be held. The movement started is one of great importance to the Fraternity. It means that the young blood in the Order is beginning to circulate, and it spells life and action for the future. The motto of the movement is "Service, Sociability, and Cooperation": service to the Master of the Blue Lodge that the Quarry is organized to serve, sociability among the various quarries, and thereby closer cooperative work on subjects vital to the welfare and advancement of our art. The Master of the Blue Lodge that the individual quarries are organized in, is the head of the quarry, and is known as the "Master of Light." At a recent meeting of the Perfect Craftsmen held in Fair Haven, the lodge room was overcrowded, and the spirit that prevailed among the members was wonderful. During the proper part of the meeting, all of the Masters present spoke in favor of the movement; all testified to the great amount of good it had done their work already by the true service and stimulating interest it has brought about without any advertising effort or cost. Brother Howard W. Gorham, 36 Harmony Street, Bridgeport, Conn., is acting as the Chairman of the Activity Committee referred to, and stands ready to give any "Service to Masonry" information requested in regard to the movement, on behalf of the quarries in Connecticut, to sister jurisdictions. Good buttons of special design have been made up and serve to identify the workers on the various teams in the Blue Lodge. The advantages of a local quarry are numerous. The degree work gives the incoming master of the Blue Lodge an opportunity to select men of talent and service when making his appointments to the various stations of trust and work. It is said that in every lodge where a Quarry has been established there is a revival of interest and a great outpouring of members to the meetings, and all activities of the Blue Lodge. It is the inexorable law of the Craft to press forward and never turn back until their work is completed — "Service to Masonry" is the slogan. Ray V. Denslow, Missouri. I was very much pleased with Admiral Baird's article on General Saint Clair in the July "THE BUILDER," as I always am with anything he writes. There is one feature he overlooked and which I trust he will pardon me for mentioning as it is a matter which should never be forgotten when speaking of General Arthur Saint Clair. That is, he was a member of the well-known Saint Clair or Sinclair family whose head, William Sinclair of Roslyn, was the hereditary Grand Master when the Grand Lodge of Scotland was formed. In this Sinclair family the Grand Mastership had been handed down for over 200 years, according to the Scottish traditions. The Encyclopedia Britannica tells of Thurso castle, near the town of Thurso, which is 367 miles north of Edinburgh and which town is noted for its stone quarries to this day. General Arthur Saint Clair was born at Thurso castle in 1734 and hence was only two years younger than Washington. The Grand Lodge of Scotland was formed in 1736, two years after his birth, and the head of the elder branch was still the Grand Master when he was born. He came to America in 1758 as an ensign in the Royal American regiment, known as the 60th foot, of which Colonel John Young, who had been for thirty years the Deputy Grand Master of Scotland, was the colonel. The man who succeeded Colonel Young was Colonel Augustine Prevost who was created a Grand Inspector-General of the Scottish Rite by Stephen Morin in 1762, the same year in which Arthur Saint Clair resigned his commission in the British army, married in Boston, and became an American. There is no doubt but that he was a Master Mason at that time, as there was a military lodge in his regiment of which Colonel Young was the Master while Arthur Saint Clair was an officer. He settled in the Ligonier Valley in Pennsylvania, near Bedford, and lived there for twelve years. When the Revolutionary War broke out he joined forces with the colonists to whom his military knowledge was of value, he being created a colonel of militia in 1775. His being a Scottish Mason, or Mason of the Scottish Rite, brought him in close connection with Washington whose lodge at Fredericksburg was also a Scottish lodge with a charter from the Grand Lodge of Scotland as were the majority of the lodges in America which favored the cause of the patriots. Such were the famous St. Andrews' lodge of Boston, and the Provincial Grand Lodge of which Dr. Joseph Warren was the Grand Master which organized lodges in all the New England colonies and likewise in Virginia, North Carolina and others of the colonies. The members of the English lodges chartered under the Grand Lodge of England were Tories, almost to a man, while the Scotch lodges were nearly all revolutionists. I called the attention of readers of THE BUILDER to the fact that we American Masons owe but little to English Masonry, as most of the Revolutionary Fathers were Scottish Masons and took their degrees in lodges which were chartered by the Grand Lodge of Scotland. For these reasons, it is well to bring out the connection of General Arthur Saint Clair with the Sinclairs of Rosslyn. I was much interested in the account of the visit in Scotland of Grand Commander Cowles of the Scottish Rite which was published in the July number of the "New Age." Brother Cowles has been the Grand Master of Kentucky and in his article he called attention to the similarity of the Scotch work with that of Kentucky while the English work was much different. We owe our Masonry in America to Scotland, our work is Scottish and not English, and this is as it should be. California work comes from a Scotch lodge of Connecticut under P.G.M. Warren, Provincial Grand Master under Scotland. Cyrus Field Willard, California. Condensed from an article by Isaac H. Vrooman, Jr., 32d, printed in the Proceedings Council of Deliberation, State of New York, A.A.S.R., 1914, to whom due acknowledgment is made. 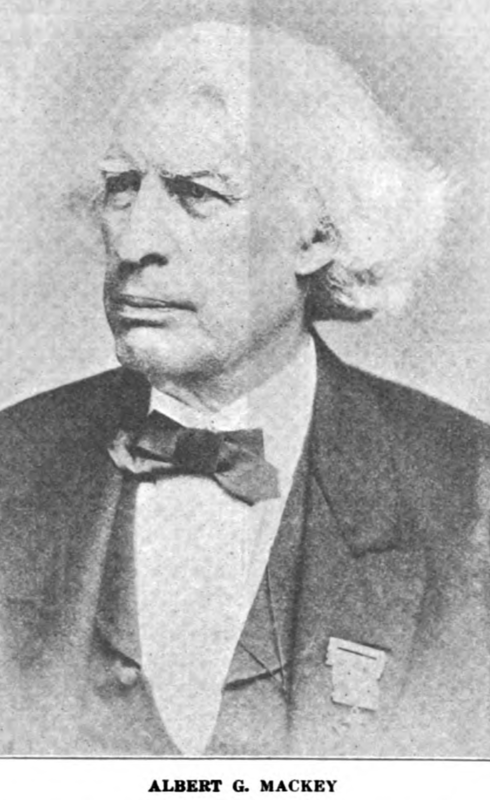 Giles Fonda Yates was born in Schenectady, November 8, 1798, the son of John and Margaret (Fonda) Yates. His great-great-grandfather, Joseph Yates, emigrated from England and settled in Albany, in 1664, and his great-grandfather, Robert Yates, came to Schenectady in 1711. He was graduated from Union College in the Class of 1816, with Phi Beta Kappa rank, and later received the degree of Master of Arts. He was by profession a counsellor-at-law and held the office of Surrogate of Schenectady County from 1821 to 1840. For many years he edited the Schenectady Democrat and Reflector, and contributed to that paper an extensive and interesting series of articles on the early history of Schenectady, which have formed the basis of most of the published history of that city. He was initiated an Entered Apprentice in Morton Lodge, No. 87, of Schenectady, on October 23, 1820, and received the degrees of Fellow Craft and Master Mason on October 27, 1820. On December 15, 1820, he was elected Senior Deacon of Morton Lodge and the following year Senior Warden; to which office he was reselected in 1822, but was not advanced in 1823. On December 7, 1824, he affiliated with St. George's Lodge, No. 6, but did not sign the by-laws until June 24, 1825. W∴ Bro∴ Yates served as Master of St. George's Lodgre in 1826 and 1827, and again in 1844 and 1845, and was one of the survivors of the Morgan trouble who helped to keep Masonry alive in Schenectady. He was also a Royal Arch Mason and Knight Templar. It is not known when he received the Scottish Rite degrees but it must have been during 1821, for in the minutes of Ineffable Lodge of Perfection, Albany, under date of January 31, 1822, he is recorded as Senior Grand Warden. For many years Ill∴ Bro∴ Yates was connected with the affairs of Ineffable Lodge of Perfection of Albany. In the fall of 1820, with the consent of its surviving members, the Lodge of Perfection, which had become dormant, was re-established under the appellation of Delta Lodge of Perfection, and placed under the jurisdiction of a Grand Council of Princes of Jerusalem, which had been opened previously in the City of Schenectady. The minutes of Delta Lodge of Perfection, Schenectady, are to be found copied in the Minute Book of Ineffable Lodge, commencing October 5, 1821, and preceded by the stubs of two leaves which have been removed. These stubs bear evidence of meetings having been held in 1820. Delta Lodge of Perfection continued to meet at Schenectady until 1825, when it was, by the consent of its members, removed to Albany. Ill∴ Bro∴ Yates was Grand Master of Delta Lodge during the five years of its existence at Schenectady. The only printed reference to Delta Lodge of Perfection is found in the Proceedings of the Grand Chapter, R.A.M., of New York, under date of October 8, 1823, at an "Emergency Convocation," called for the purpose of celebrating the passage of the "first boat from the Grand Erie Canal into the Hudson River at Albany." "Delta Grand Lodge of Perfection, No. 1, of the City of Schenectady," attended and joined in the procession. Ill∴ Bro∴ Yates received the 33d on October 24, 1825, from Ill∴ Bro∴ John Barker, special Deputy of the Supreme Council of Charleston, S. C.
In 1828, when the two Grand Councils, Northern and Southern, agreed to a division of territory, Brother Yates was, on July 6 of that year, "acknowledged and admitted" a member of the Northern Supreme Council and Representative near it of the Southern Supreme Council. Brother Yates' Patent of July 5, 1828, is in possession of St. George's Lodge. He was appointed M∴ Ill∴ Ins∴ Lieut∴ Gr∴ Com∴ on June 15, 1844, and M∴ P∴ Sov∴ Grand Commander August 25, 1851, which office he at once resigned in favor of Ill∴ Edward A. Raymond. The latter, appreciating Brother Yates' great services to the Supreme Council, appointed him Ill∴ Grand Chancellor H∴ E∴ which office, together with Deputy of New York, he retained until his death. The latter years of his life were spent in New York City, where he took an active interest in the local bodies of the Rite, and was appointed the first "Sovereign of Sovereigns" of Cosmopolitan Consistory of New York City, at its organization in 1856. He died December 13, 1859, in New York and his remains were brought to Schenectady for burial. He was buried in the "Old Dutch Burial Ground" between Green and Front Streets, and when, in 1879, the plot was sold by the Dutch Reformed Church, his remains were removed to Vale Cemetery, where they now rest in what is known as the Union College plot. Brother Yates was never married. He was the author of a work entitled History of the Manners and Ceremonies of the Indian Tribes. He was also engaged, for twenty years, in the compilation of a valuable Repertorium of Masonry, which was left unfinished at the time of his death, and which, according to his family, was stolen from his lodgings in New York after his death. But most of his Masonic writings appeared in contemporary journals. Moore's Freemasons Magazine and Mackey's Masonic Quarterly Review contain valuable communications from his pen on subjects of Masonic archaeology, in which science he has no superior. Mackey's Encyclopedia of Freemasonry contains many articles by him, especially on the higher degrees. He was also a poet of no mean pretension, and an artist. His character is best summed up in his own words. "I would fain have you believe, my dear brethren," said he, "that, as a member of the Masonic Institution, if I have had any ambition, it has been to study its science, and to discharge my duties as a faithful Mason, rather than to obtain its official honors or personal benefits of any kind. Self-aggrandizement has never formed any part of my Masonic creed, and all who know me can bear witness that it never has of my practice." A Masonic friend of mine who has been in Japan for some time told me of a case of certain Jewish members of the lodge under the English Constitutions, in Kobe, who were desirous of taking the Royal Arch, but it appears that a rule exists that no brother can take this degree until he has been a Master Mason for a certain number of months. These brethren proceeded to some place or other in the East where American lodges and chapters were established and took, not only the Royal Arch but other degrees in the Ancient and Accepted Scottish Rite coming back bestarred and bejewelled, with any amount of degrees including, of course, the eighteenth, or Rose Croix. These, my friend told me, cost in the neighborhood of $500 and were conferred one after another in a few days. What I thought you might help me in is this: How on earth can a brother other than a professing Christian possibly take the Rose Croix or eighteenth degree? Does the American system differ in any way from the English and Scottish? I am a member of the Alpha Chapter under the English Supreme Council (eighteenth degree Rose Croix), and it seems to me that any one unable to subscribe to the essential Christian doctrines could not possibly take the degree without turning it into a blasphemous farce. Can you give me any information on this head? William Moister, Editor Masonic Journal of South Africa. The Scottish Rite degrees as practiced in England, Scotland, Ireland, and South Africa are very different from the same degrees as practiced here; and in no degree is the difference more marked than in the Rose Croix. With you, Brother Moister, it is Christian and confesses Christ as Son of God and Lord of Glory: here it is interpreted so as to be available to Jews, Free Thinkers, etc. The Jews referred to in your letter were not at all hypocritical. It is hardly probable that they paid five hundred dollars for initiation. Can any reader inform us if such high fees have ever been charged? Help! help! Such a flood of contributions has been pouring in this past year that ye poor editor is swamped — or should one say drowned? This means that many manuscripts wait a long time before seeing the light of day. Several brethren have kindly consented to having their articles passed on to other Masonic periodicals. Brother Arthur C. Parker, who has written for THE BUILDER some interesting items on Indian Masonry, and four important manuscripts not yet published, has written a book on "The Archeological History of New York." It is an important work. Ye editor will begin a new series of Study Club articles next March on "Chapters of Masonic History." He is attempting to write an authentic history of Masonry in understandable language. Many erudite brethren, here and abroad, have been lending him their counsels. Ye editor and his associates have formed a conspiracy to make the January BUILDER the best number yet published. It will be the ninety-seventh issue. We are growing old! We are available for a few lectures — very few. For information address The Editor, THE BUILDER, 2920 First Avenue East. Cedar Rapids. Iowa.